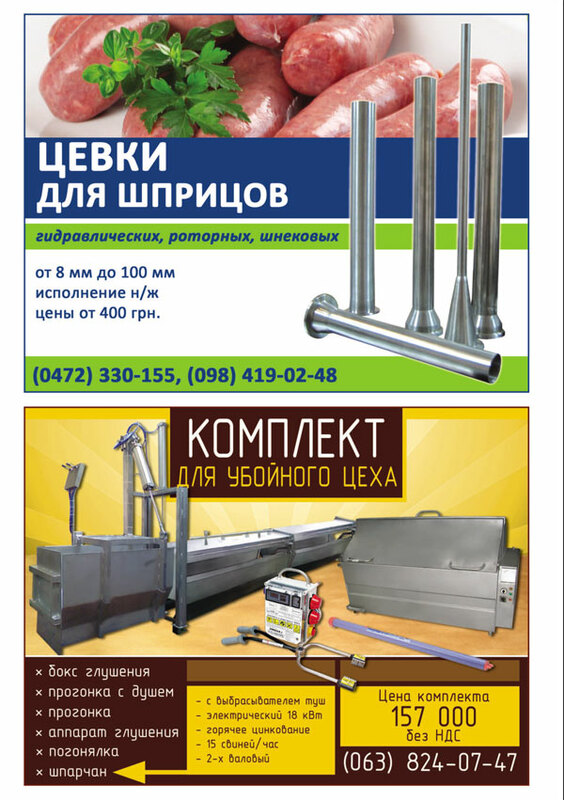 Meat service. 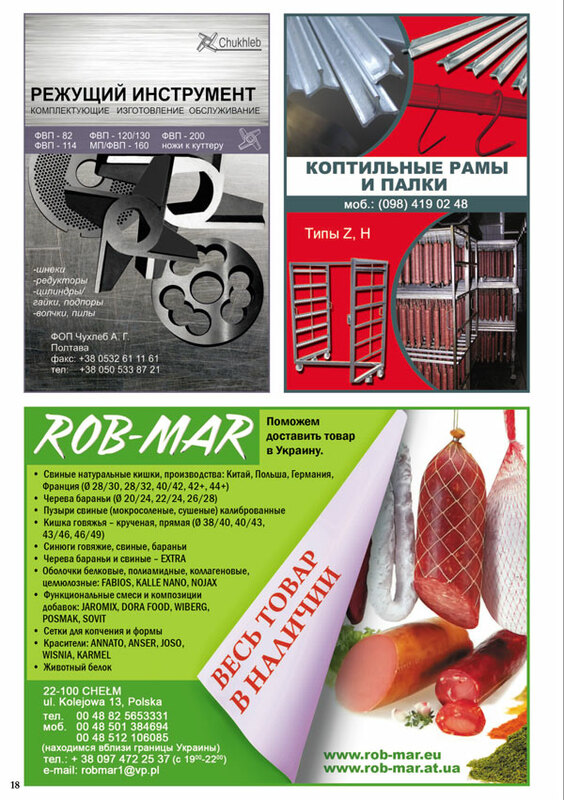 An advertising magazine. 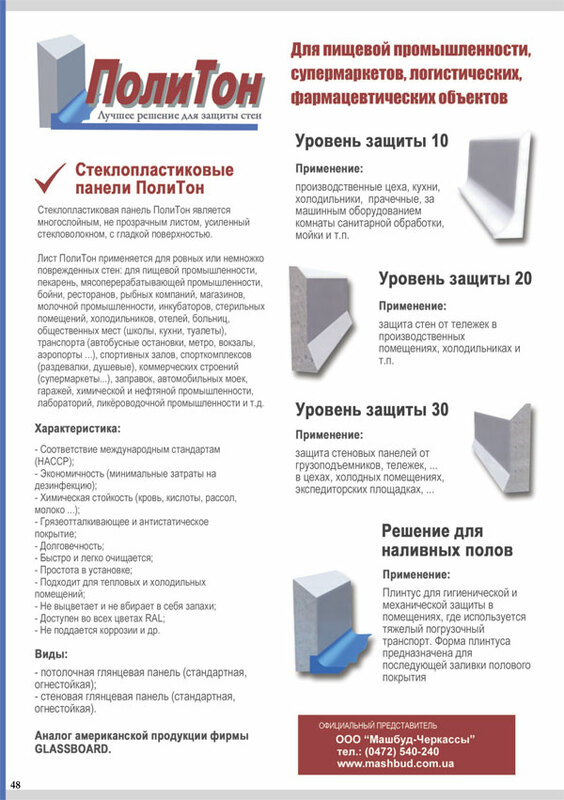 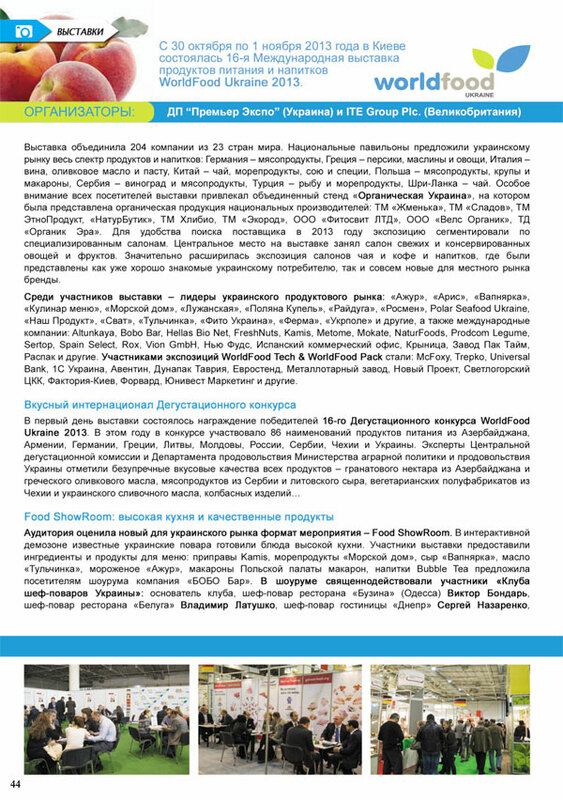 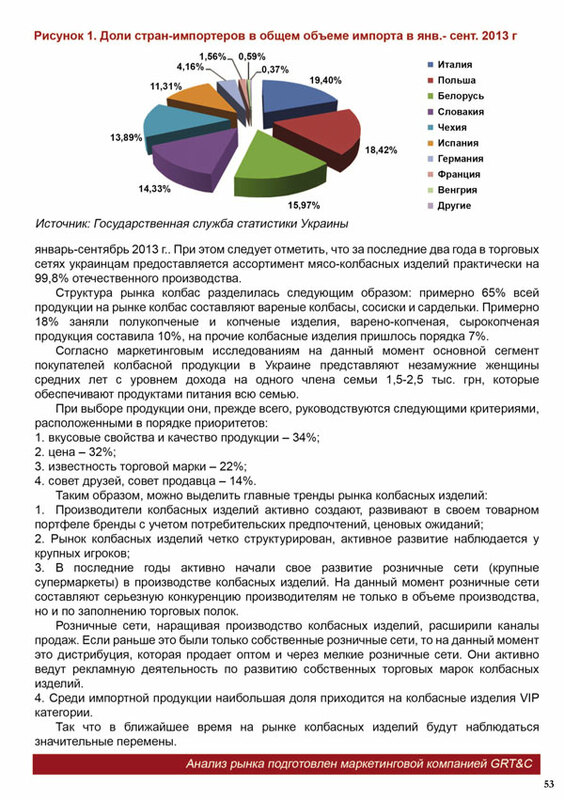 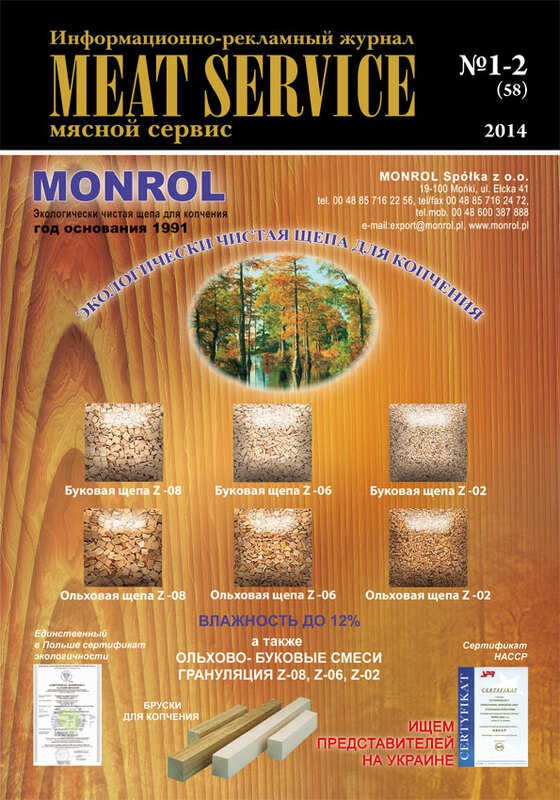 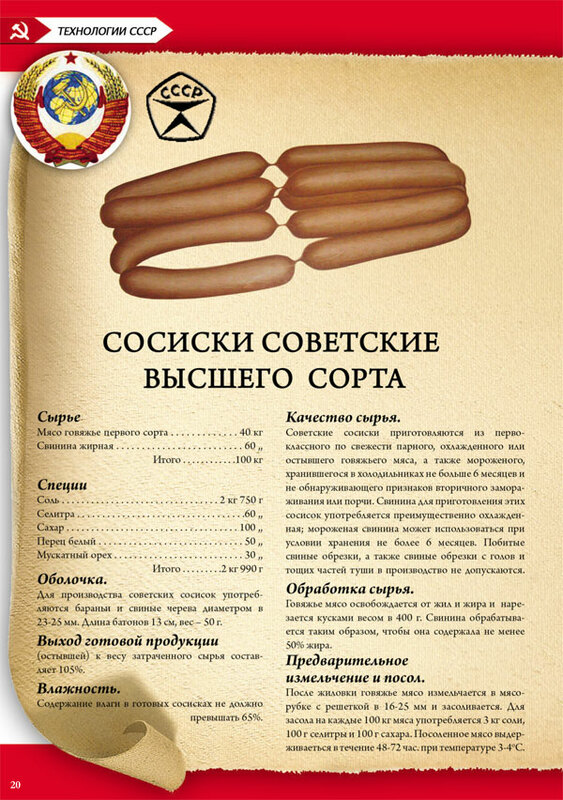 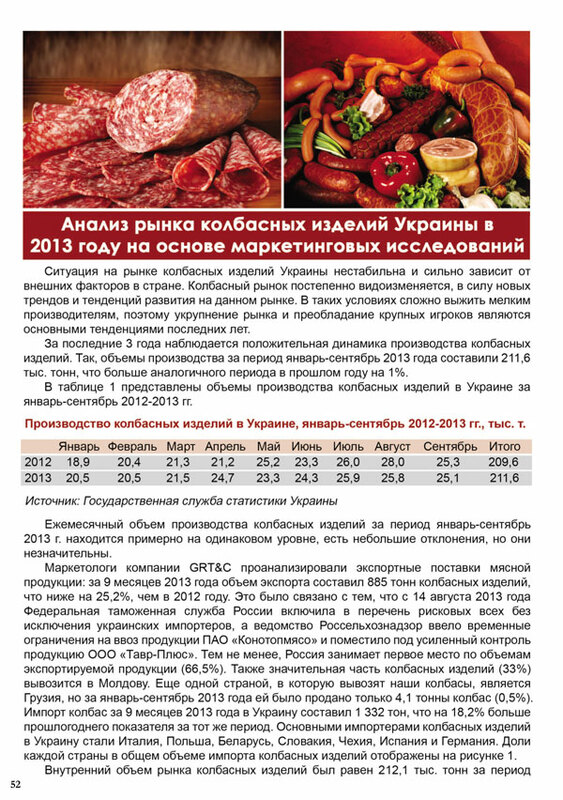 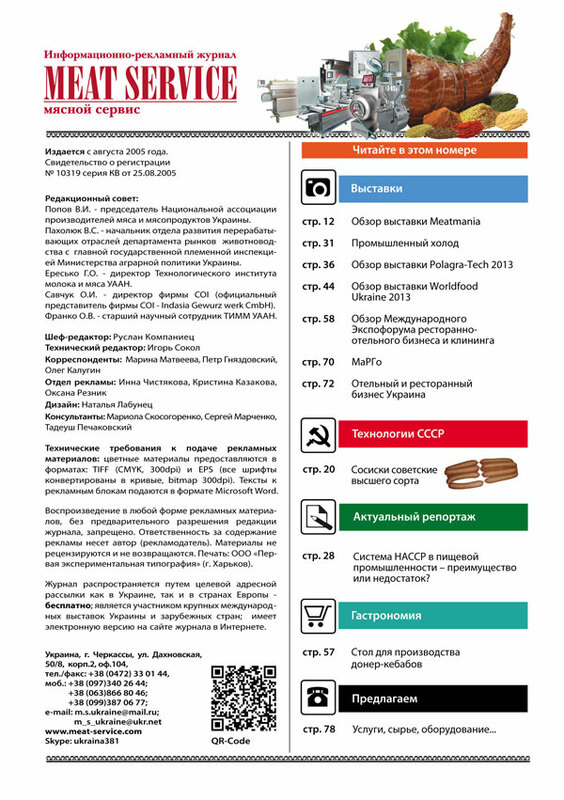 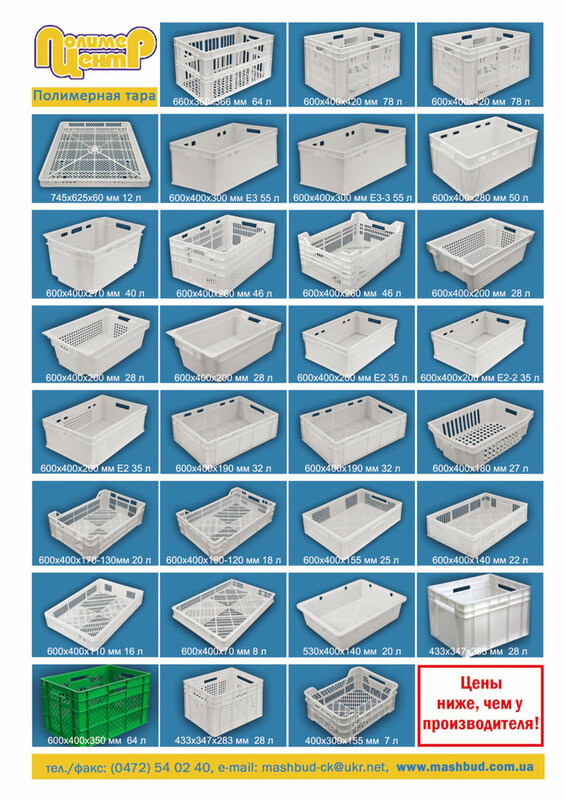 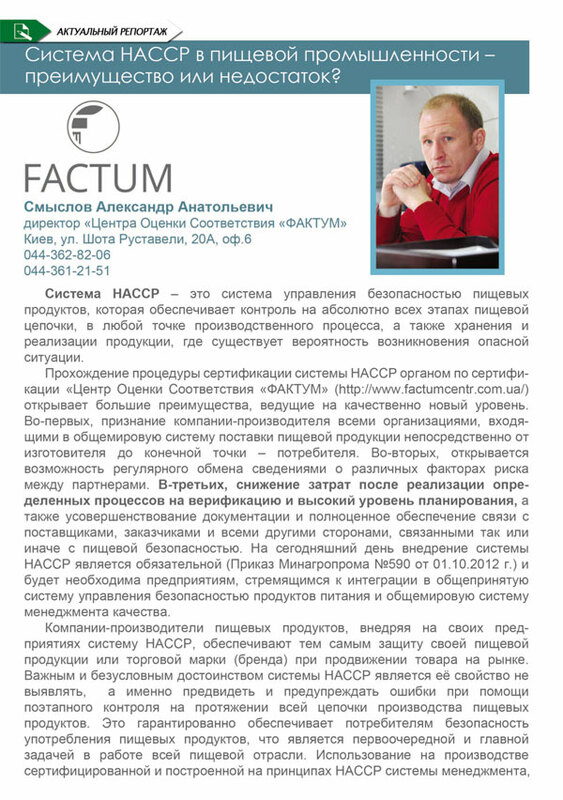 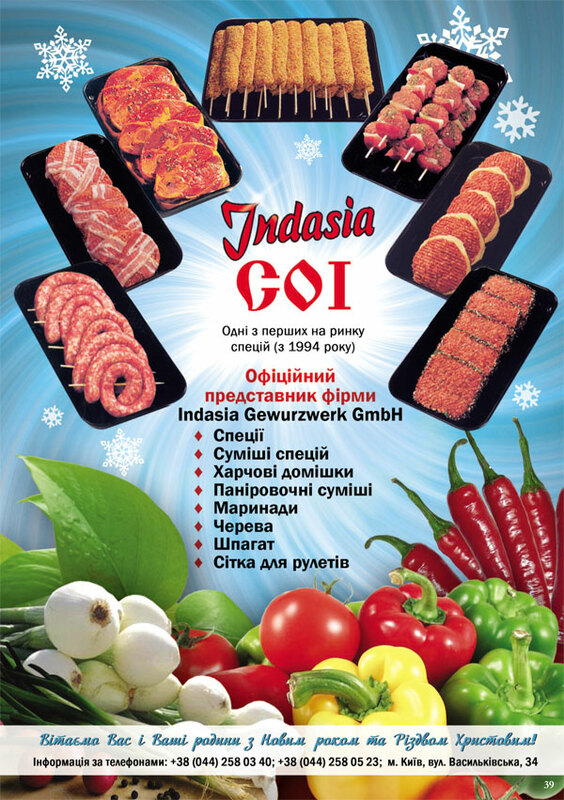 It is the only periodical with target audience distribution and is delivered cost free to meat factory managers in Ukraine, restaurant and food catering establishment proprietors and chief specialists. 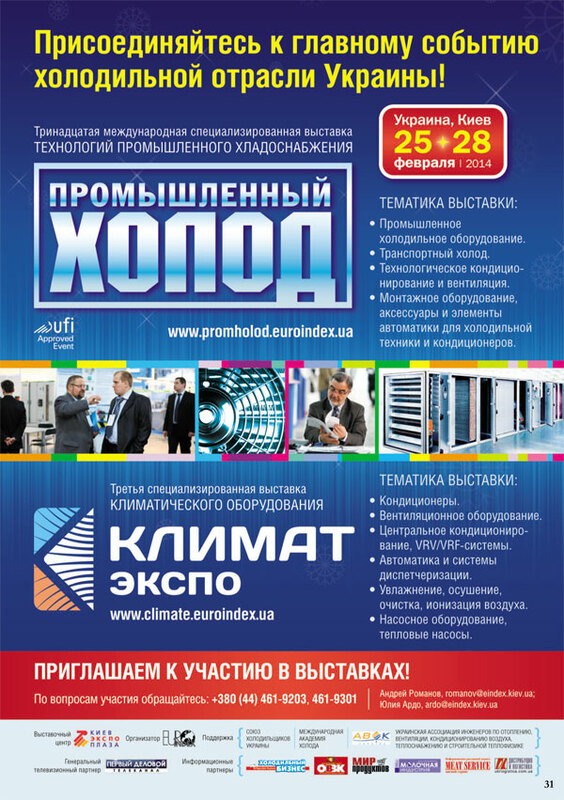 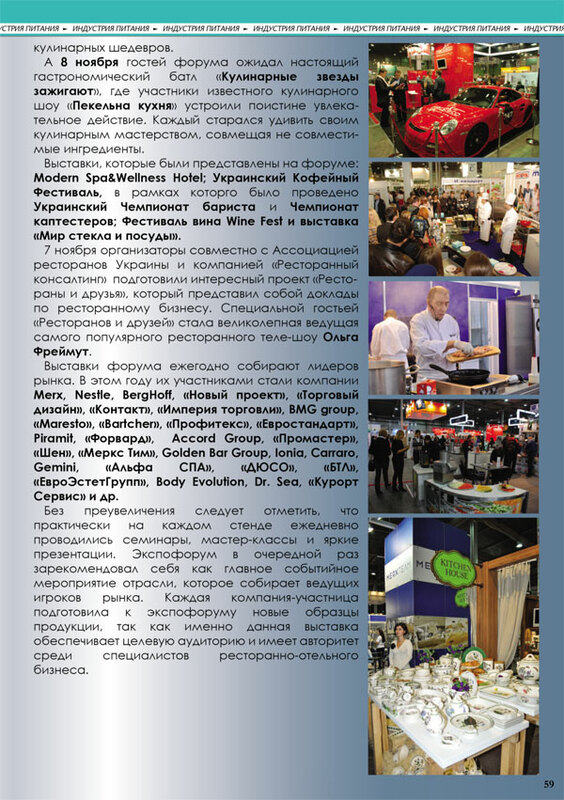 Direct mail magazine. 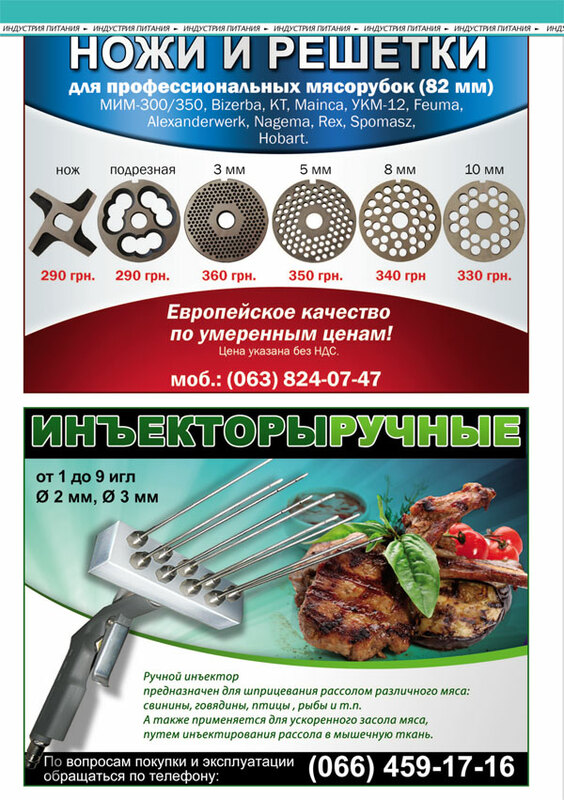 Target market. 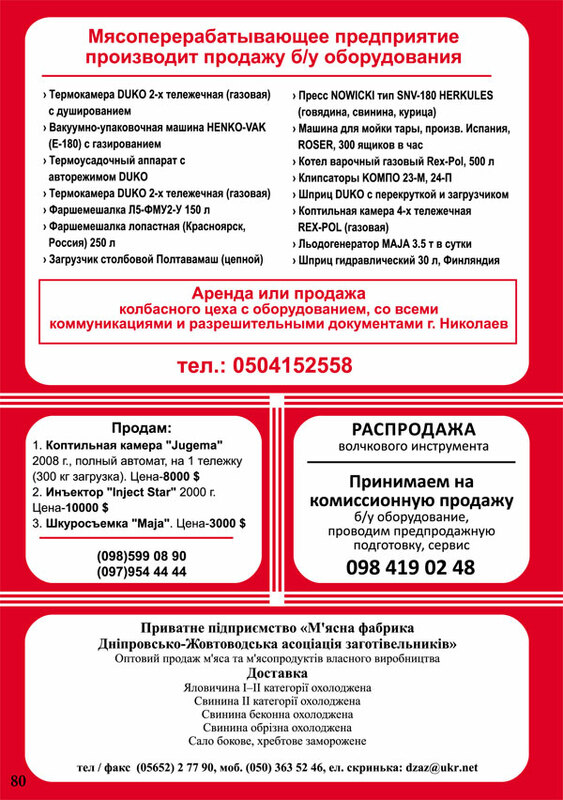 He who lacks information is doomed to fail. 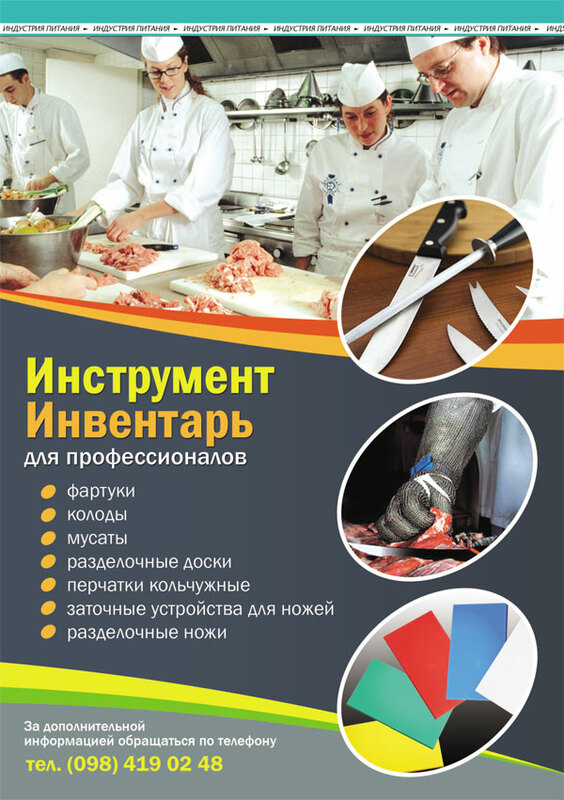 «MEAT SERVICE» advertising magazine is the only periodical with target audience distribution and is delivered cost free to meat factory managers in Ukraine, restaurant and food catering establishment proprietors and chief specialists. 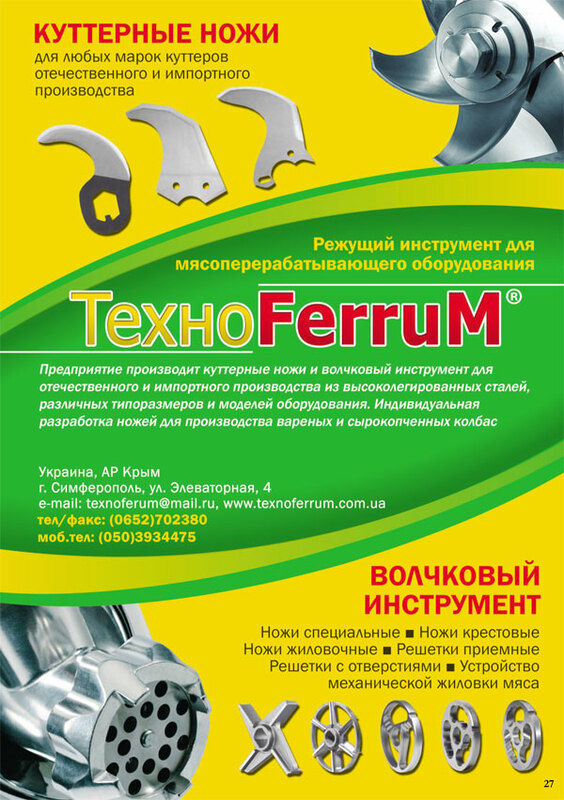 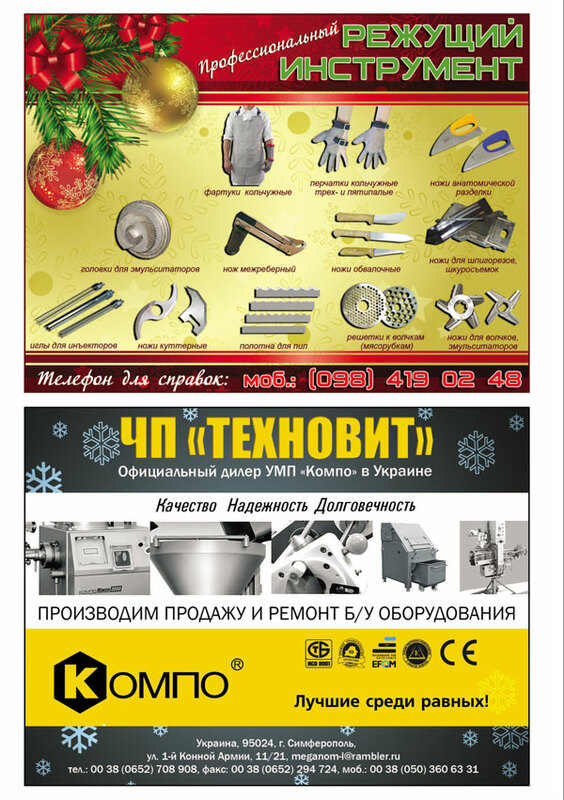 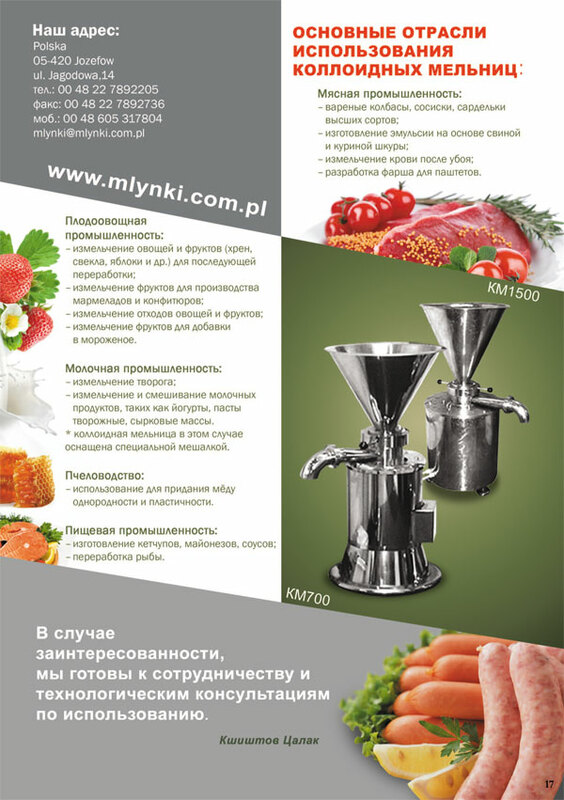 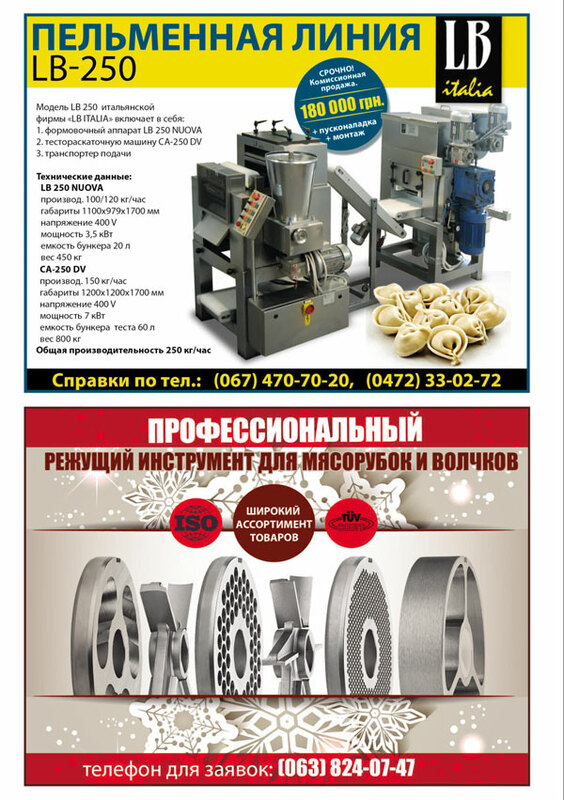 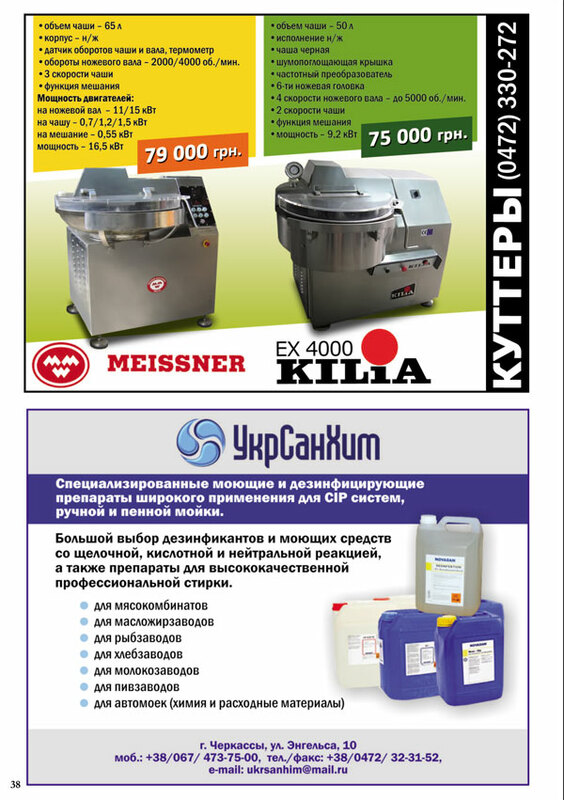 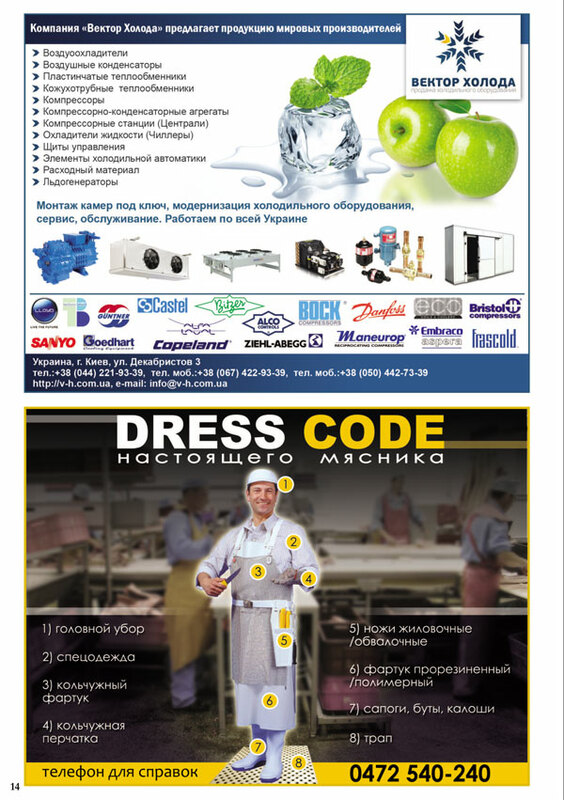 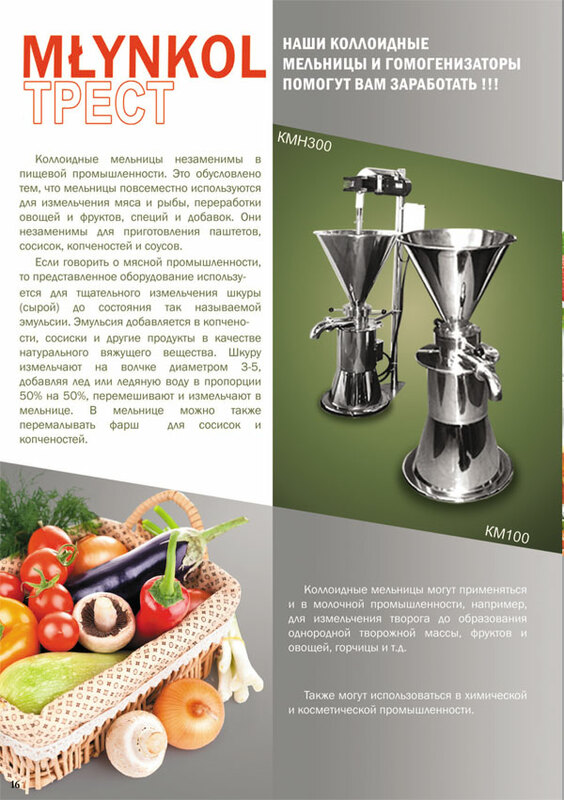 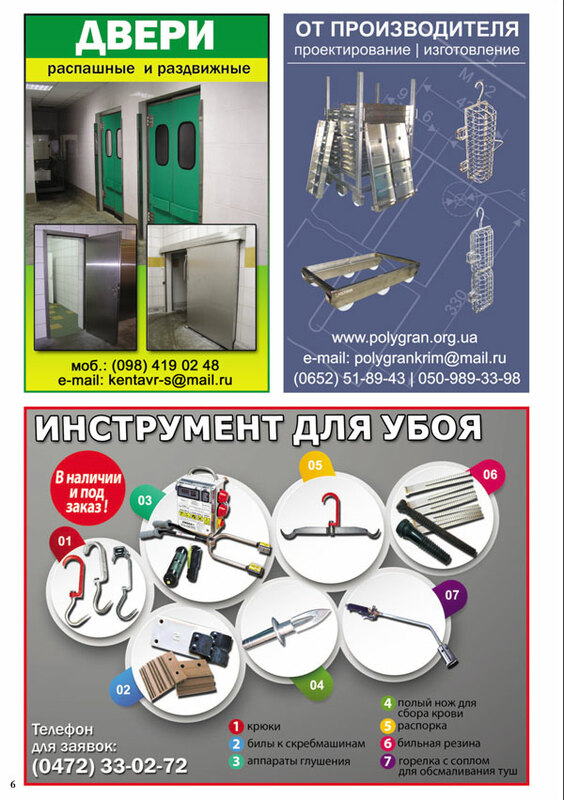 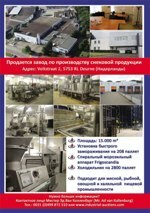 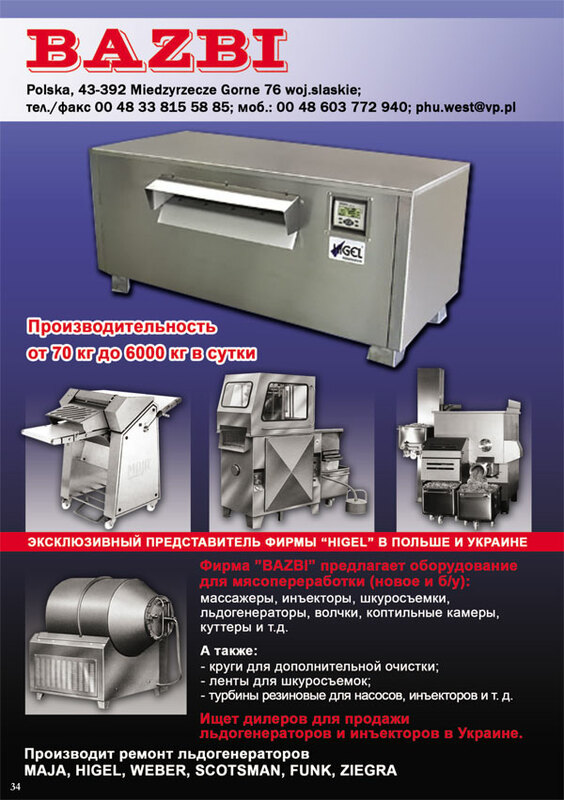 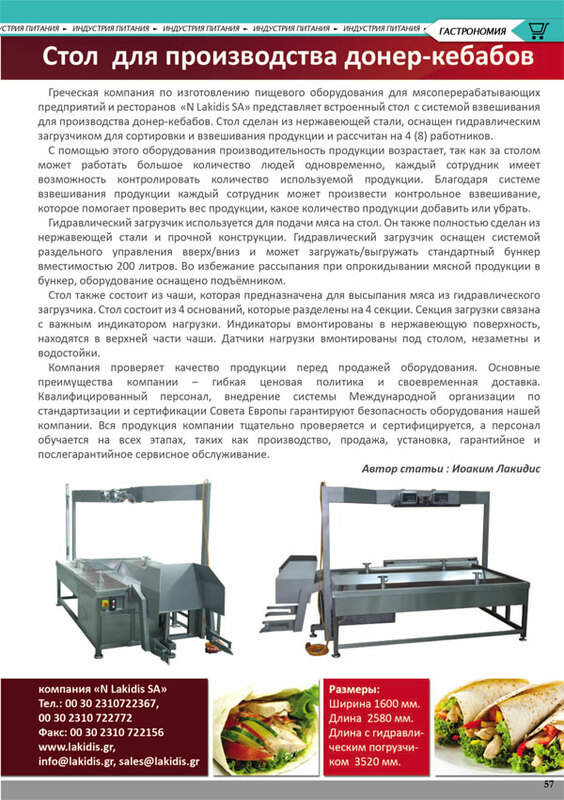 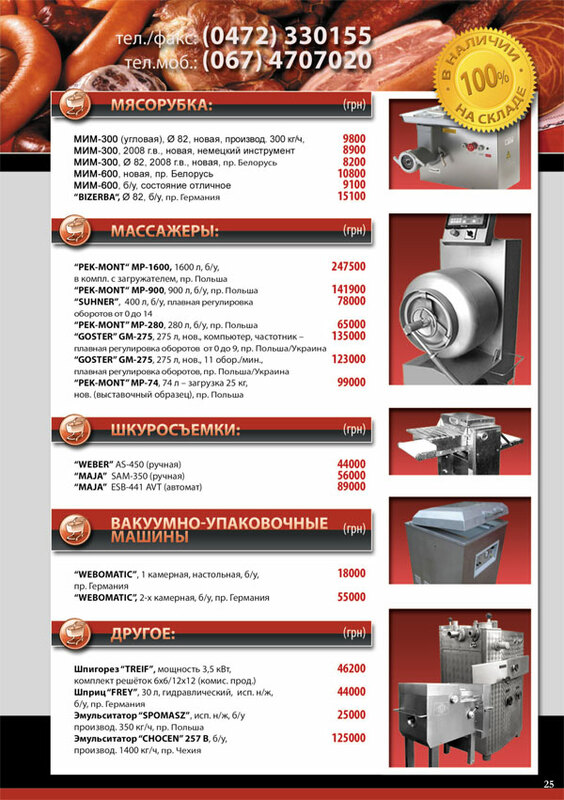 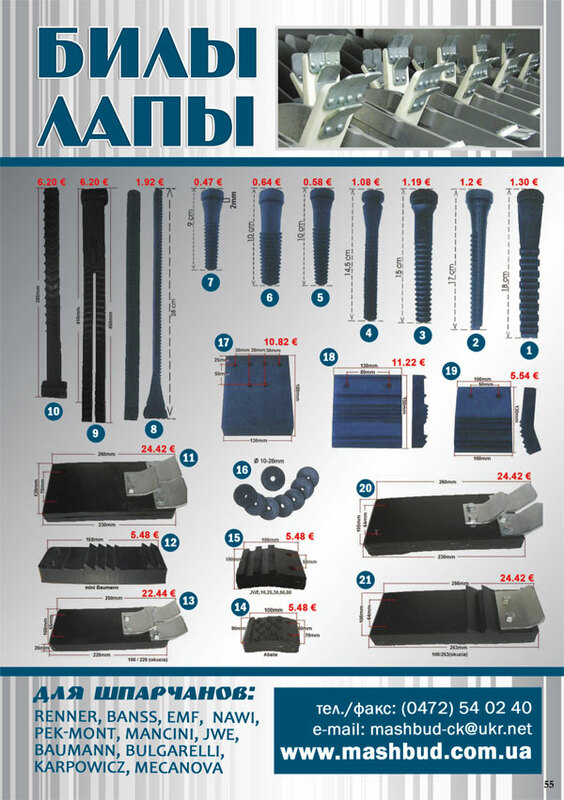 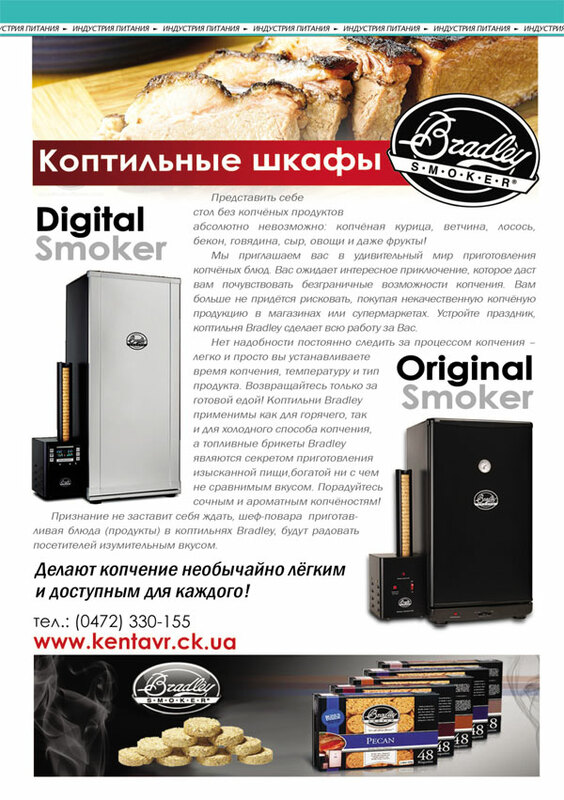 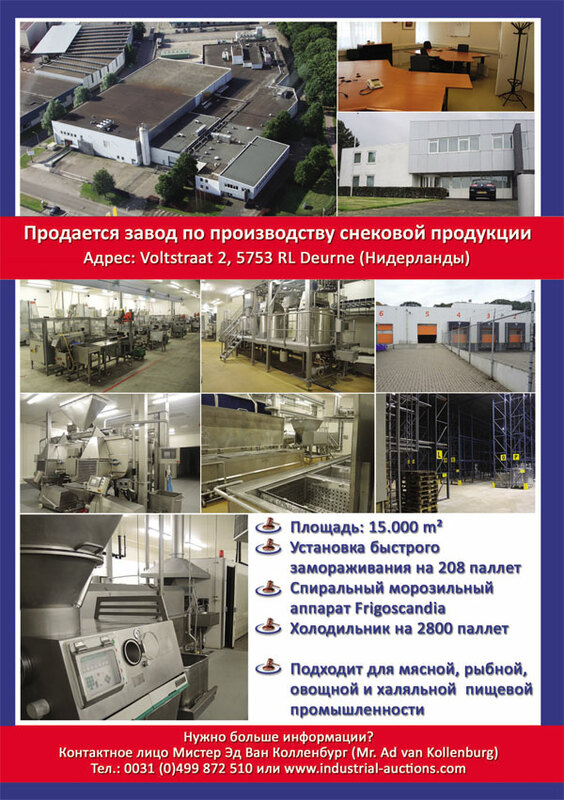 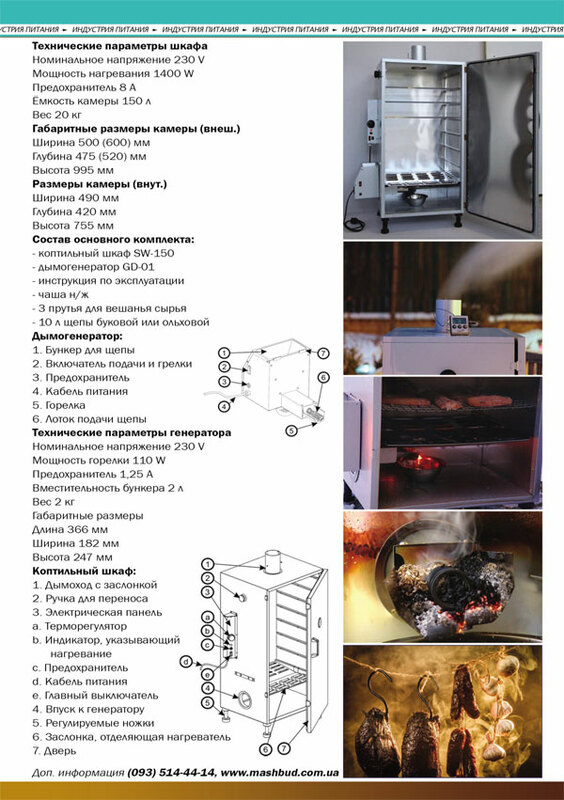 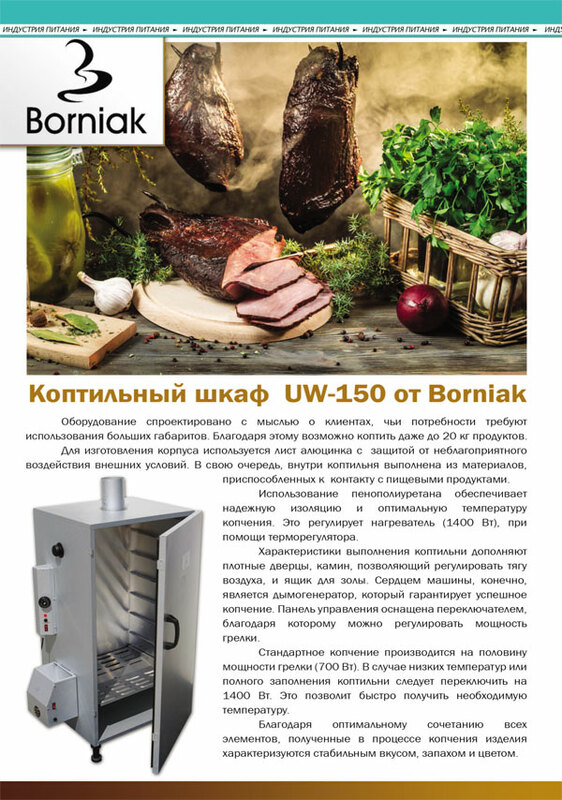 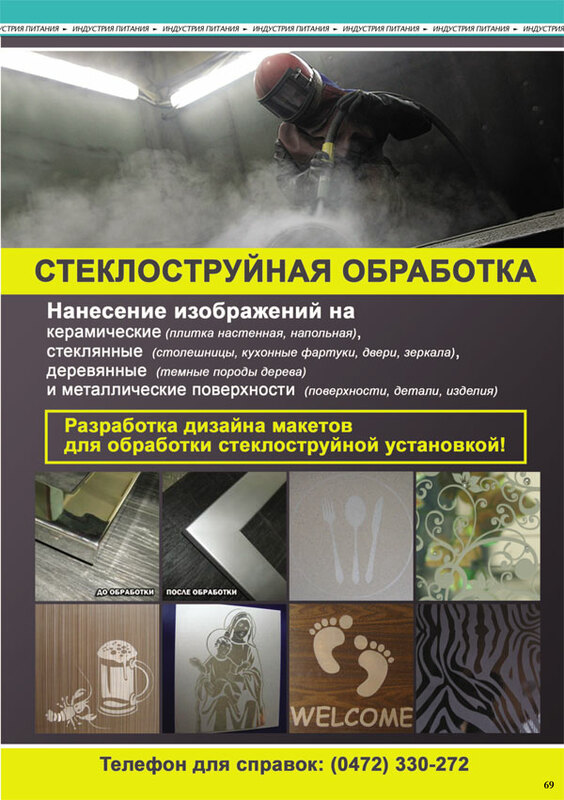 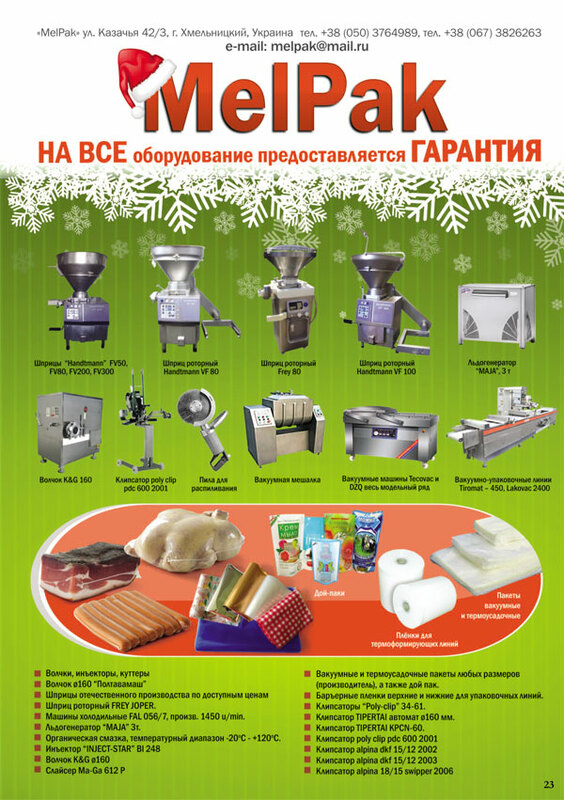 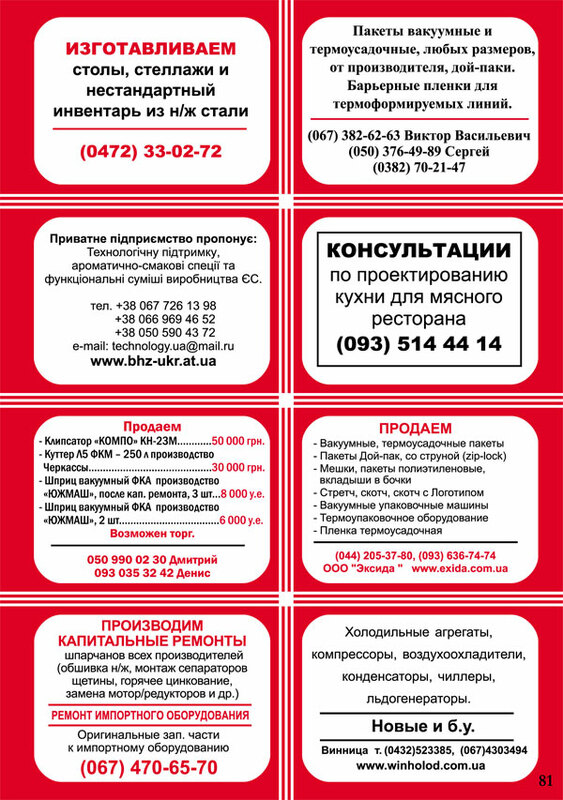 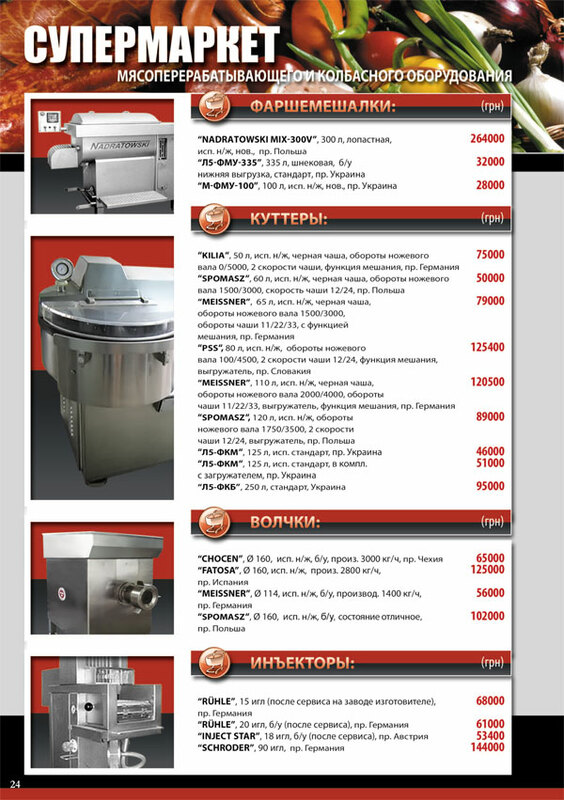 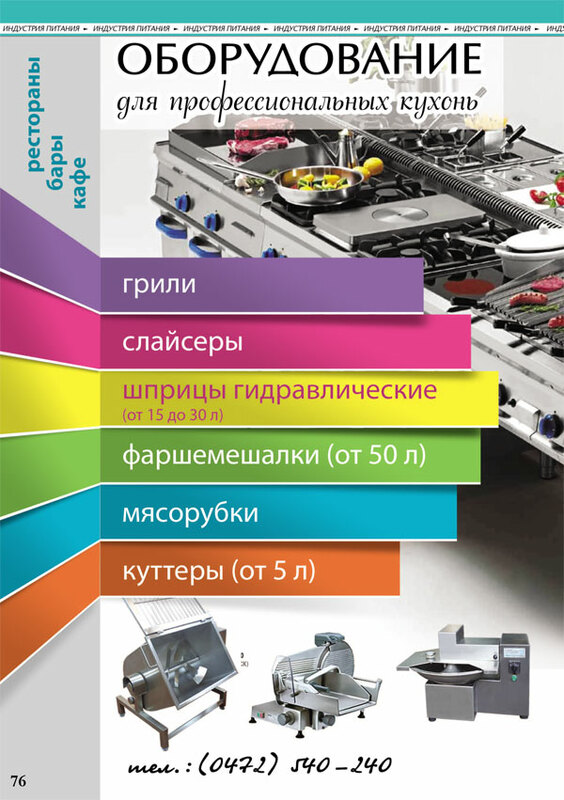 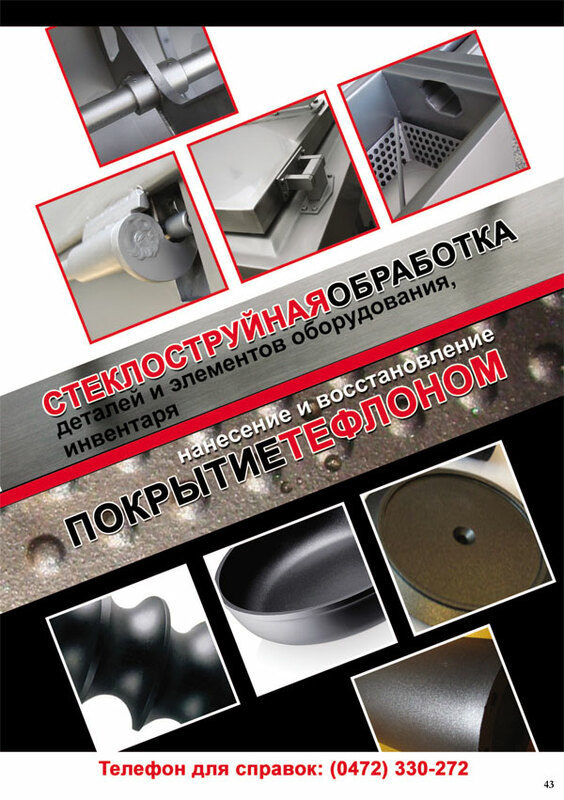 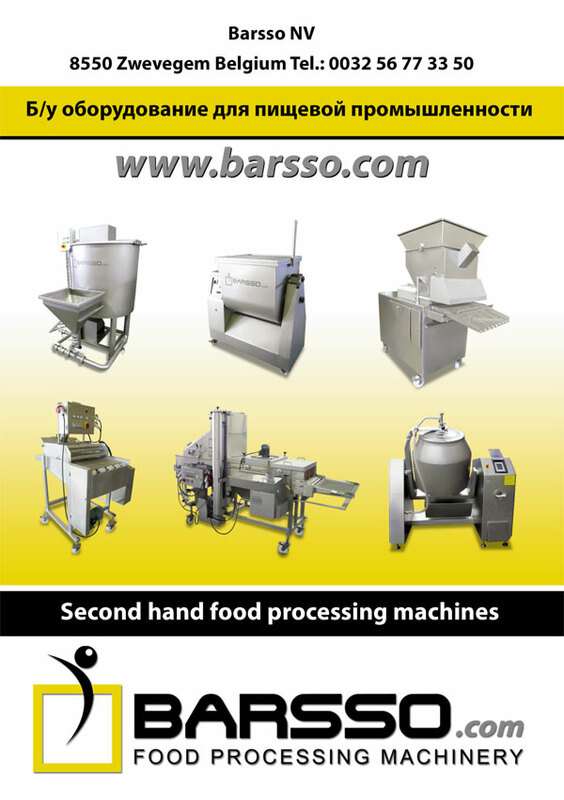 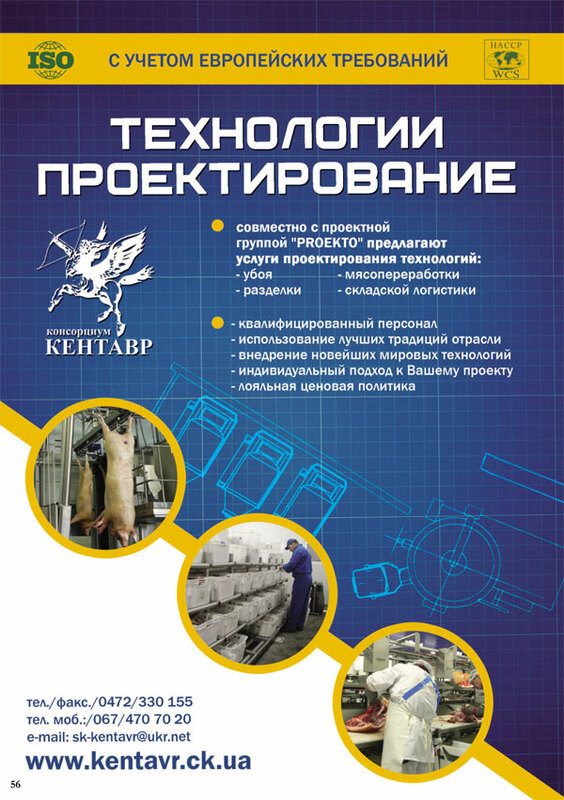 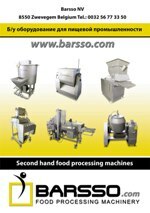 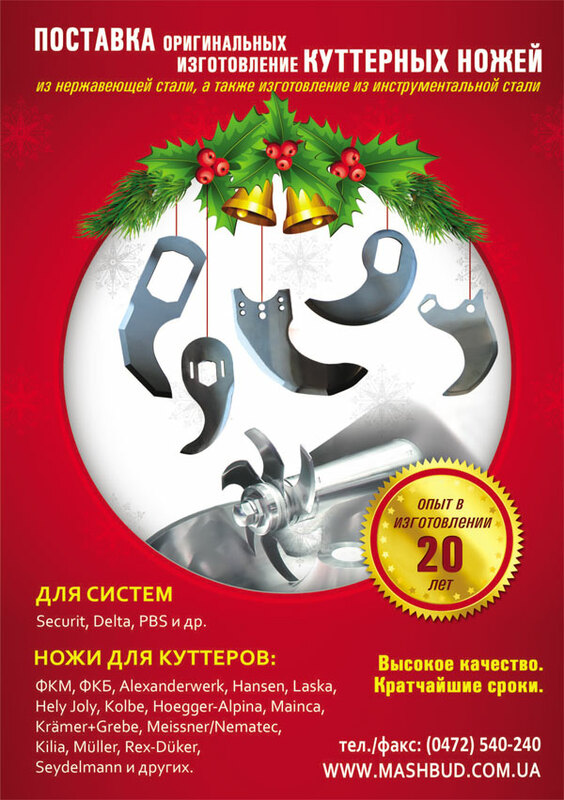 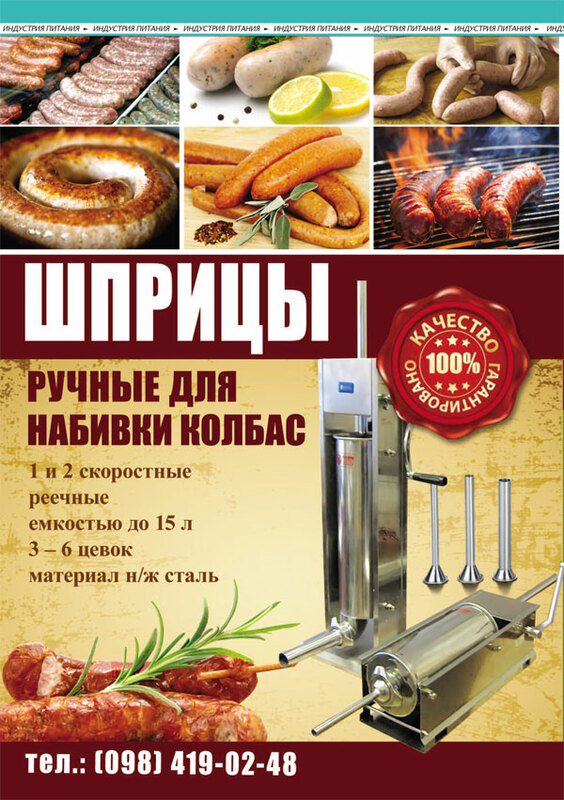 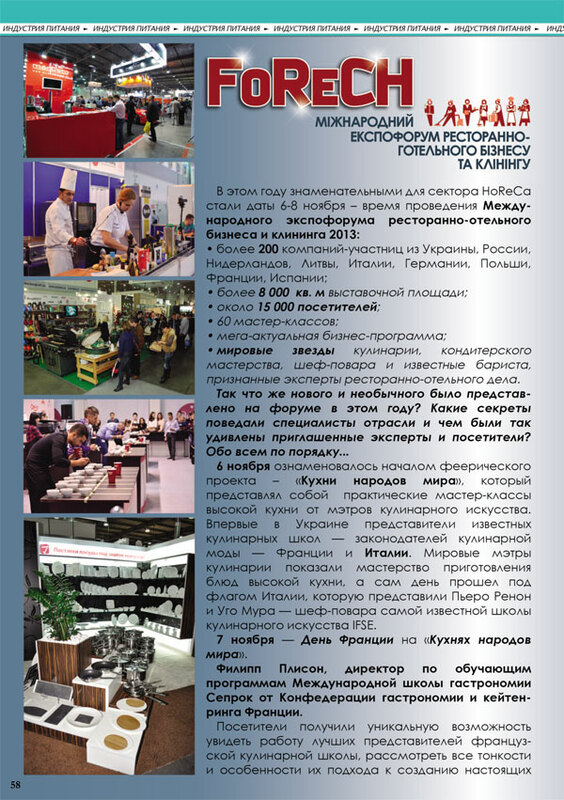 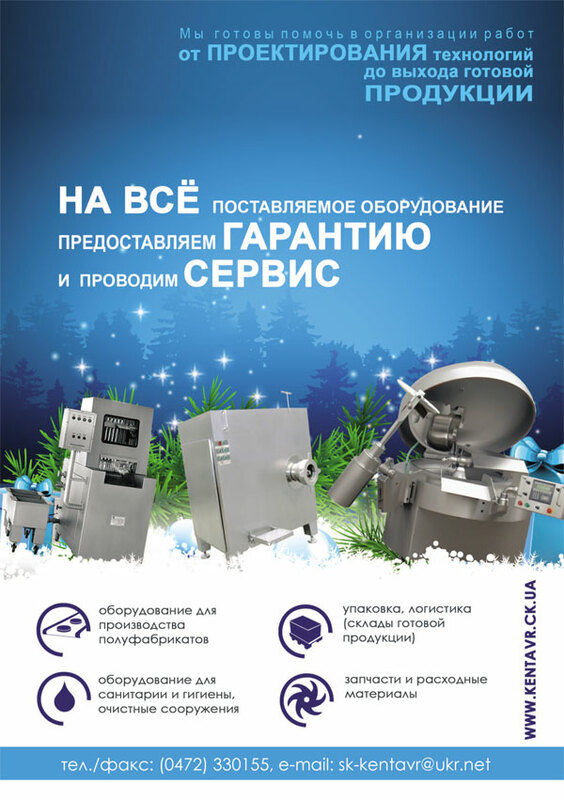 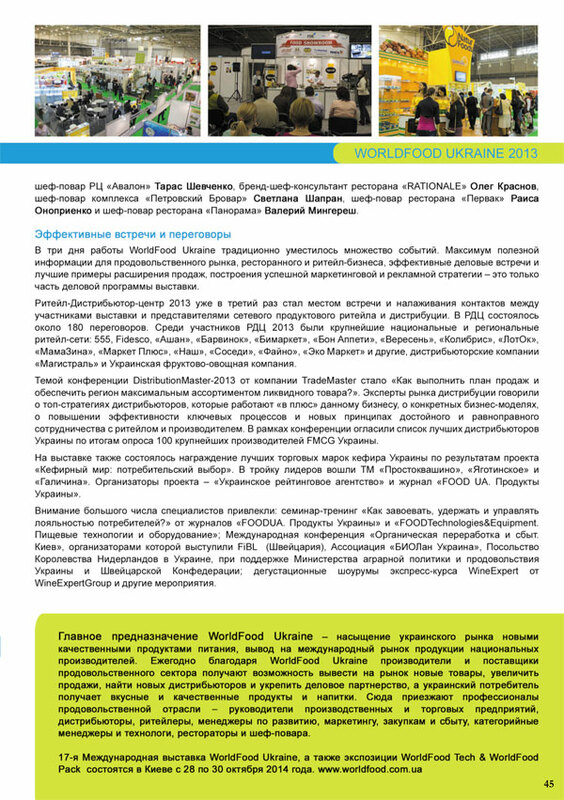 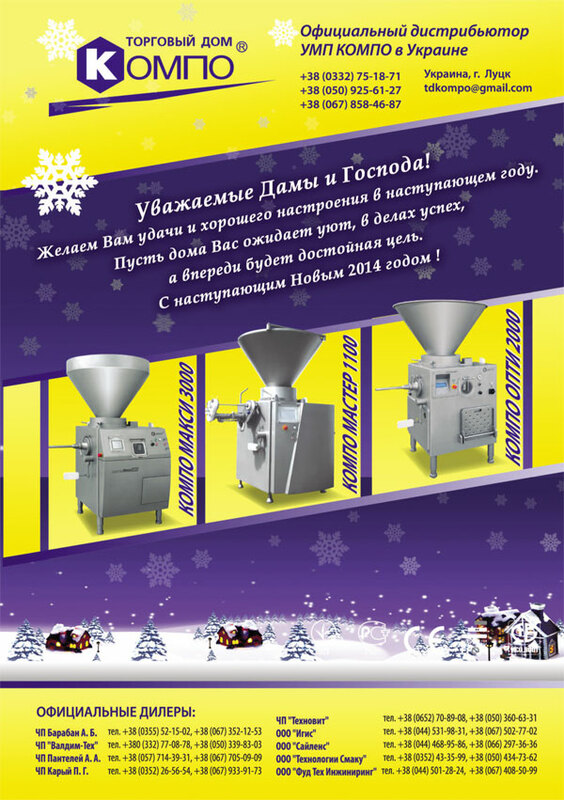 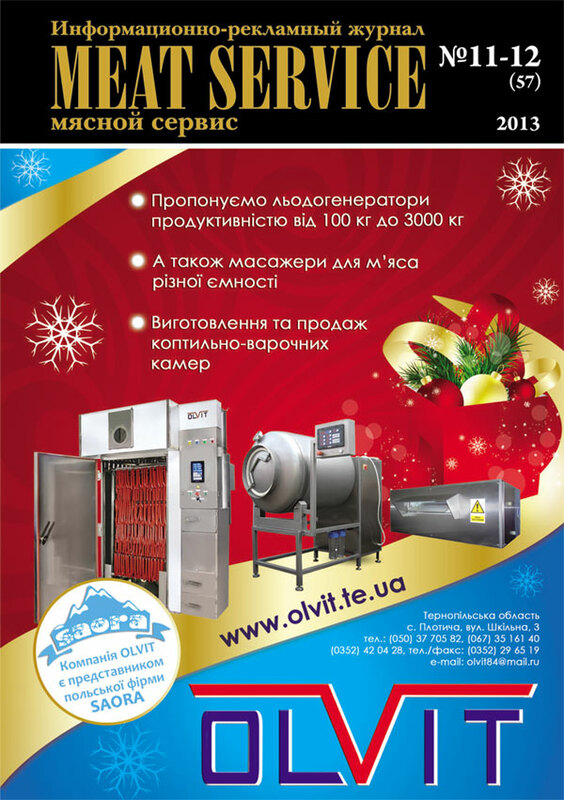 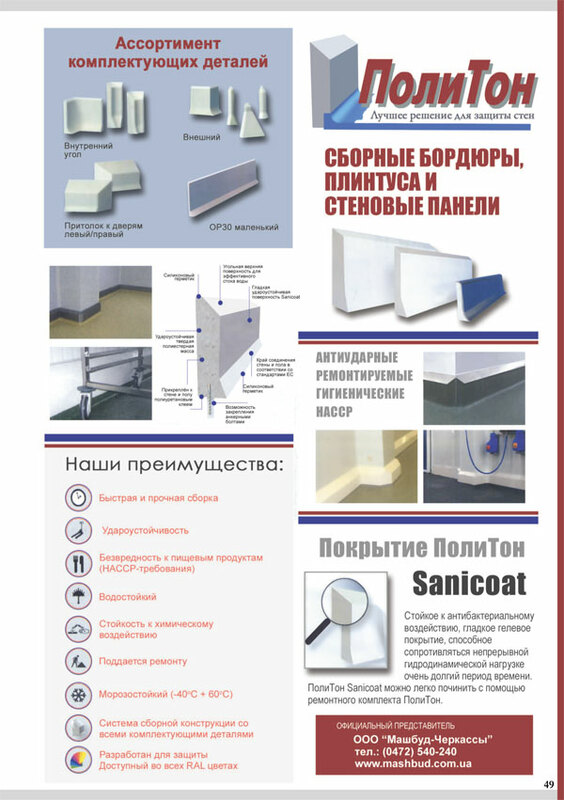 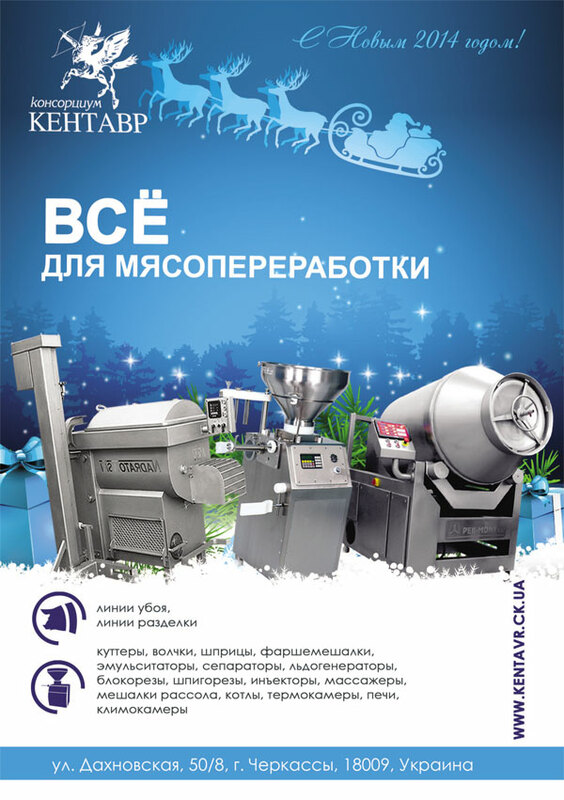 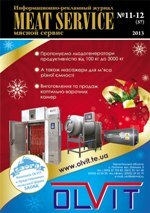 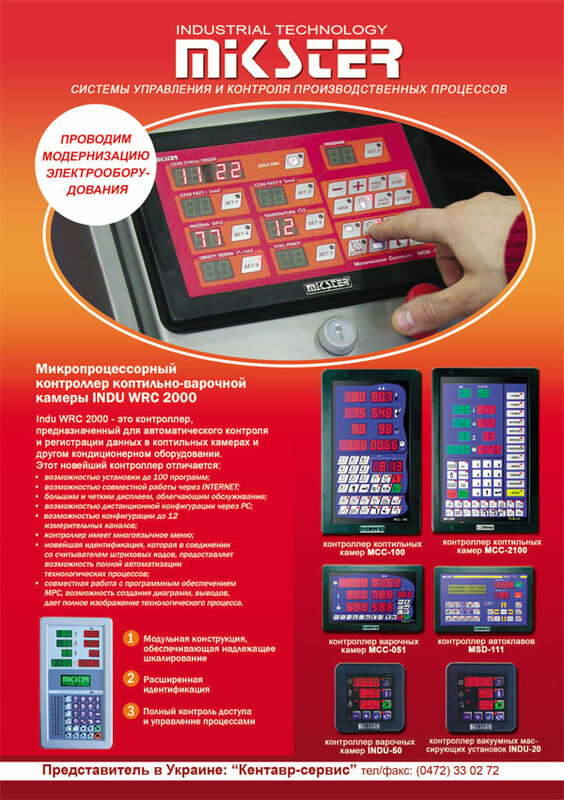 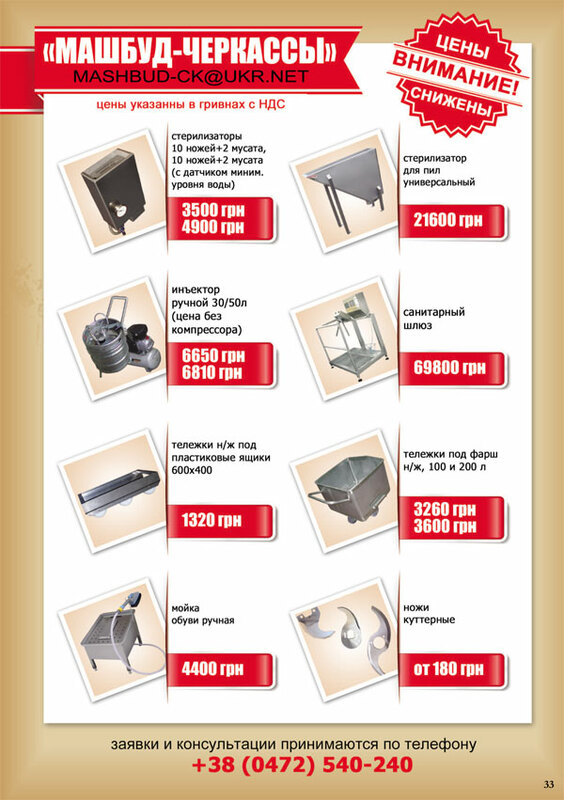 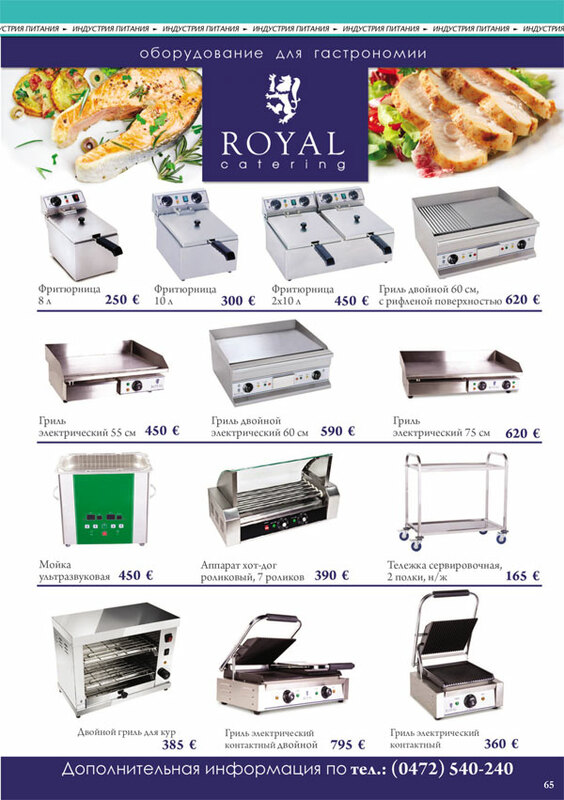 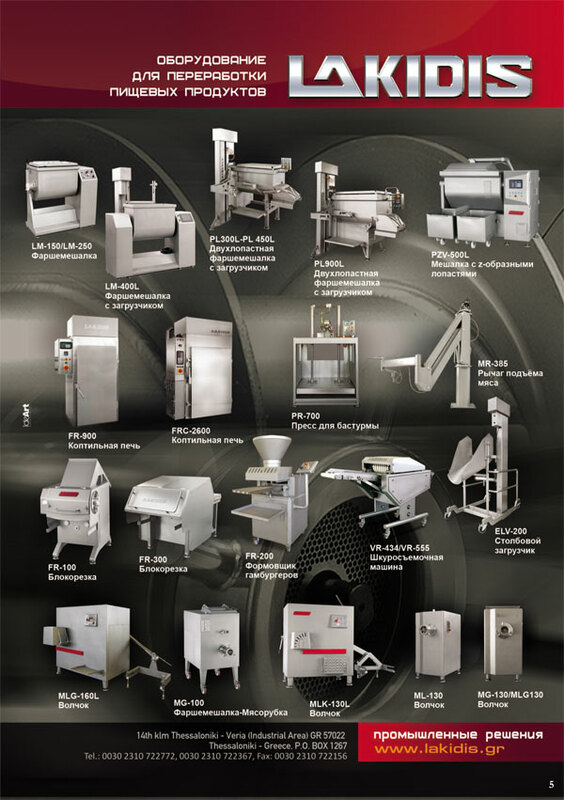 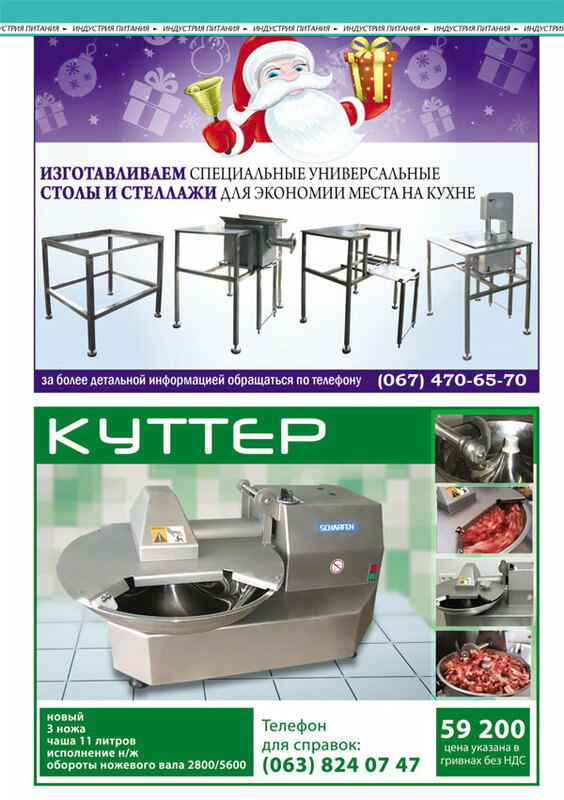 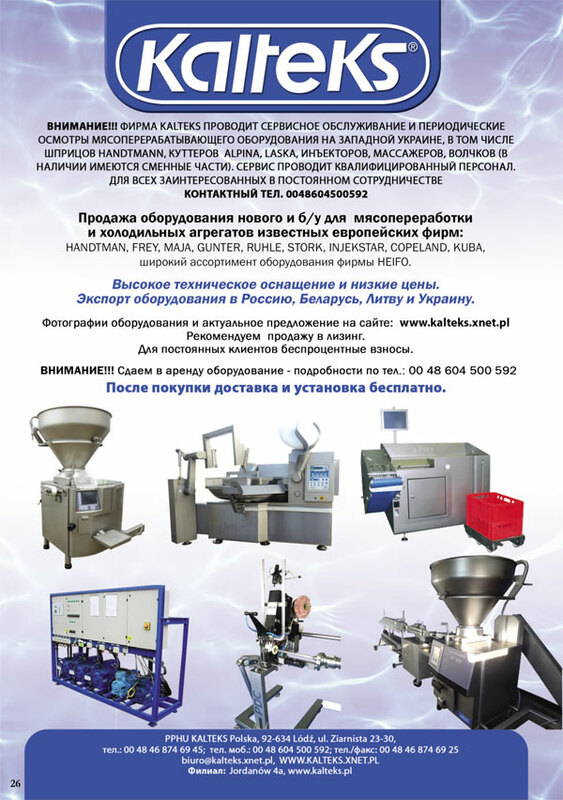 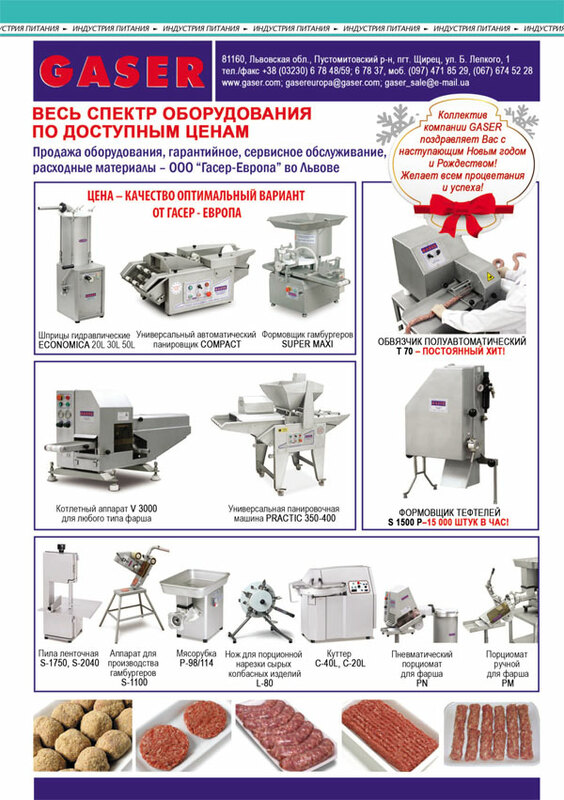 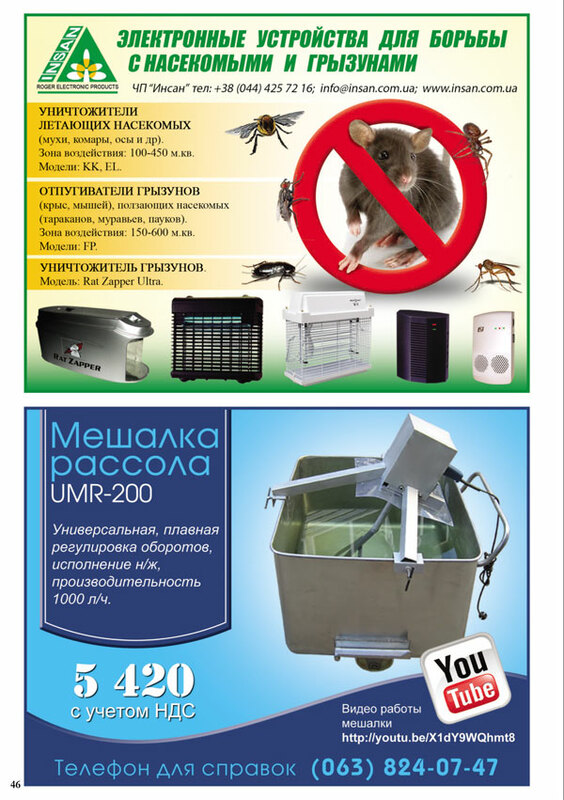 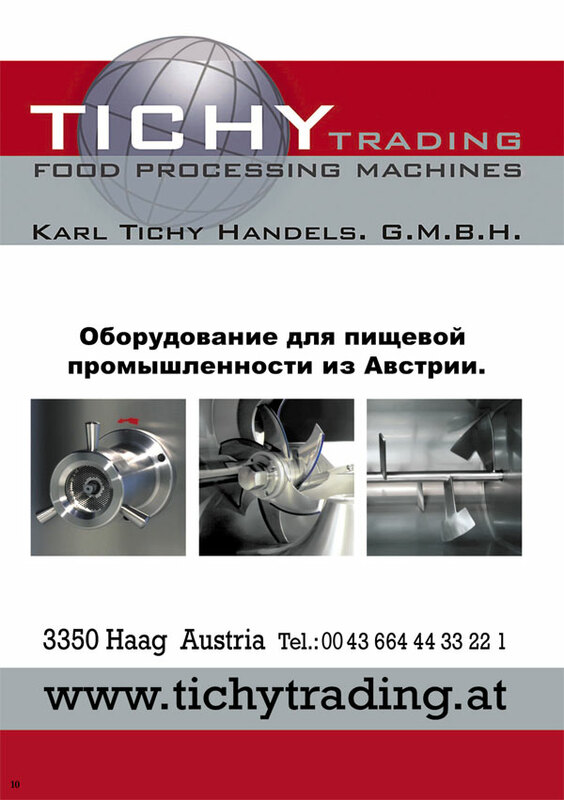 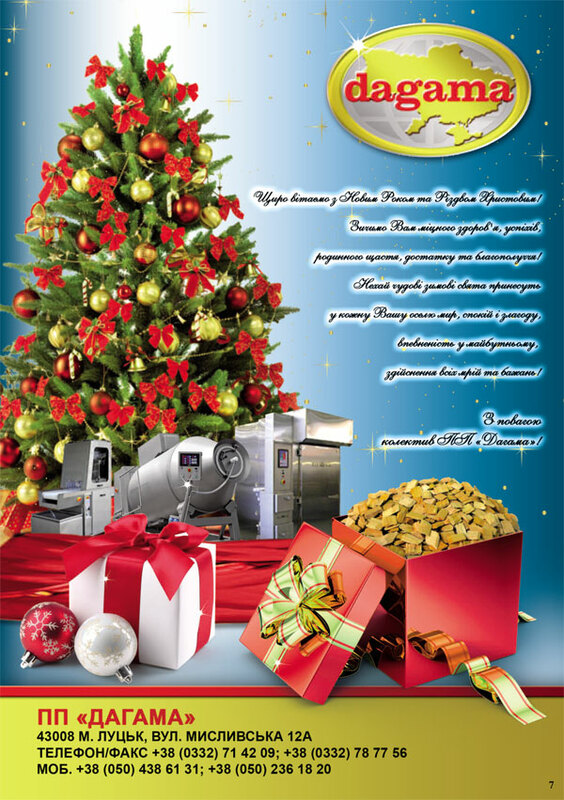 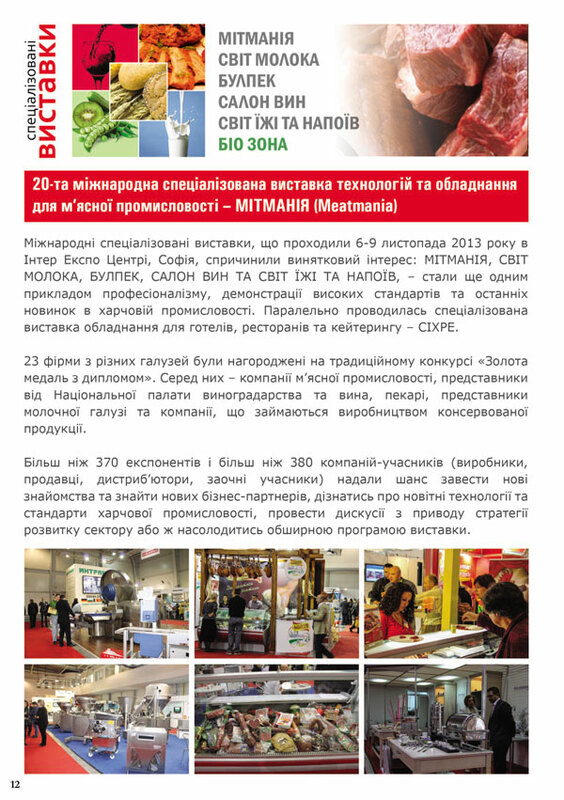 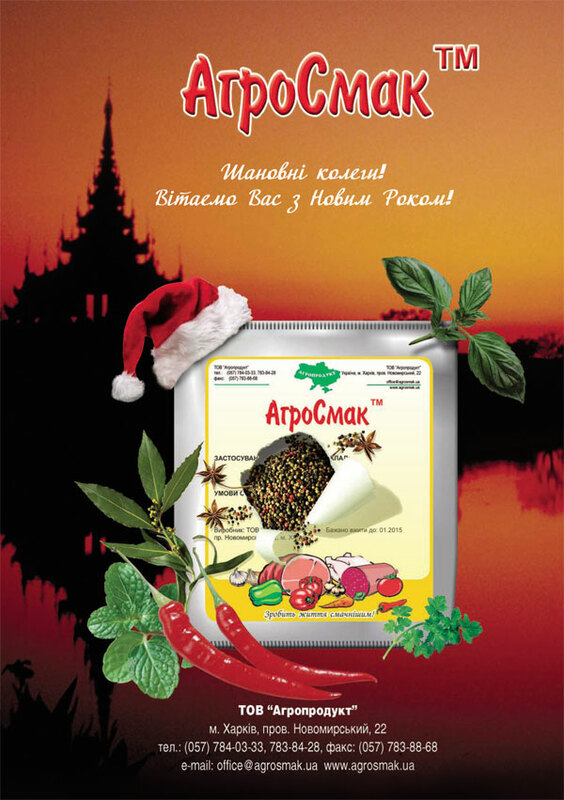 The magazine informs potential customers about the equipment used in meat processing and at food catering establishments, its service, ingredients, supplies as well as products of meat industry in Ukraine and abroad. 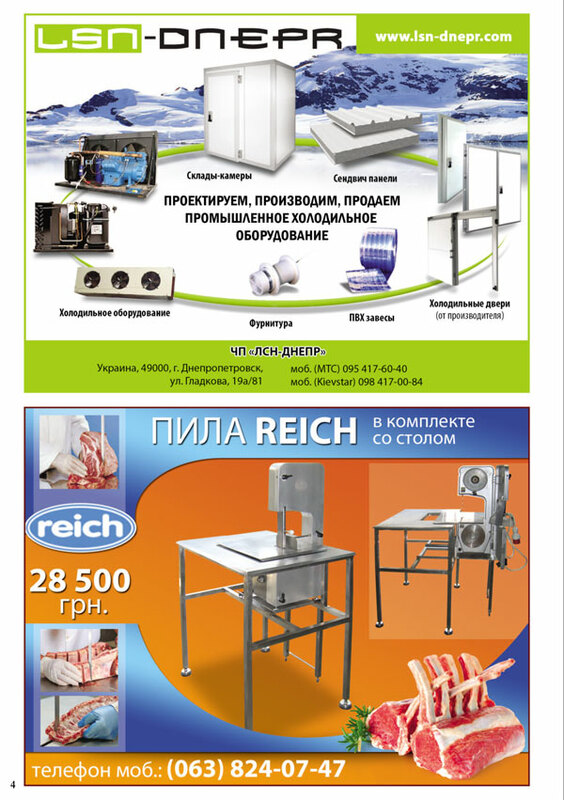 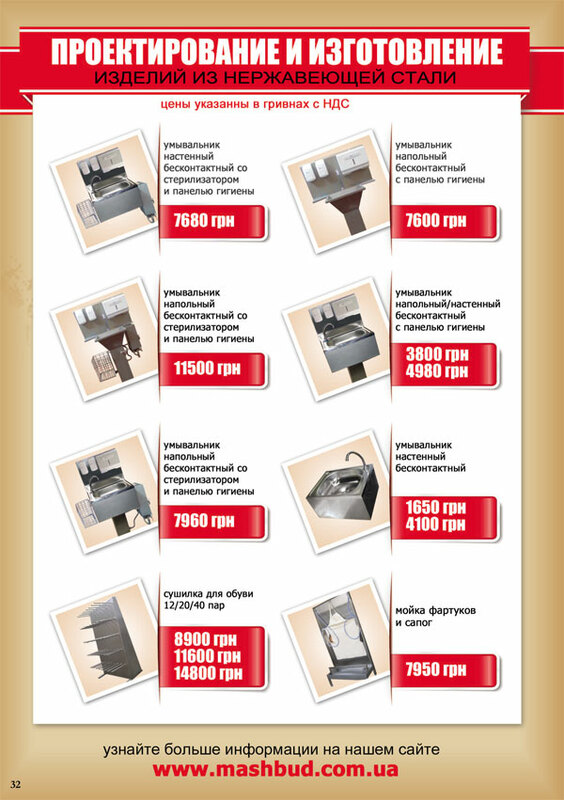 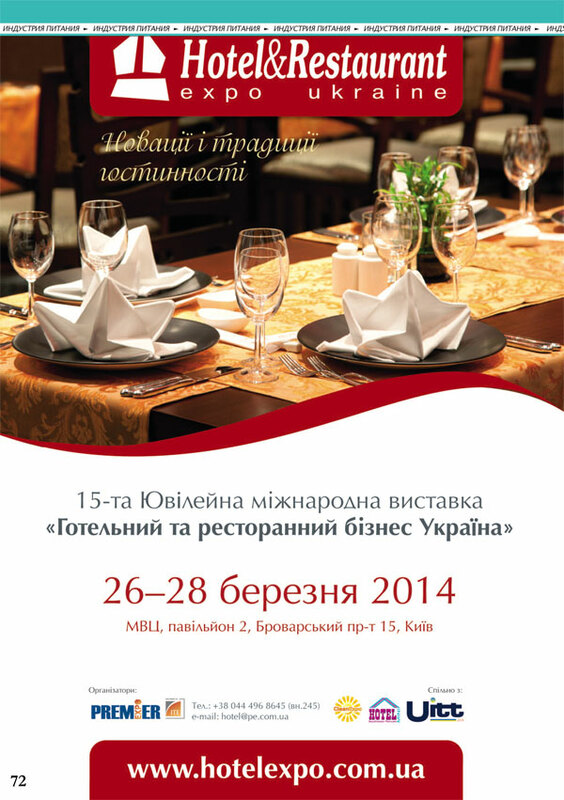 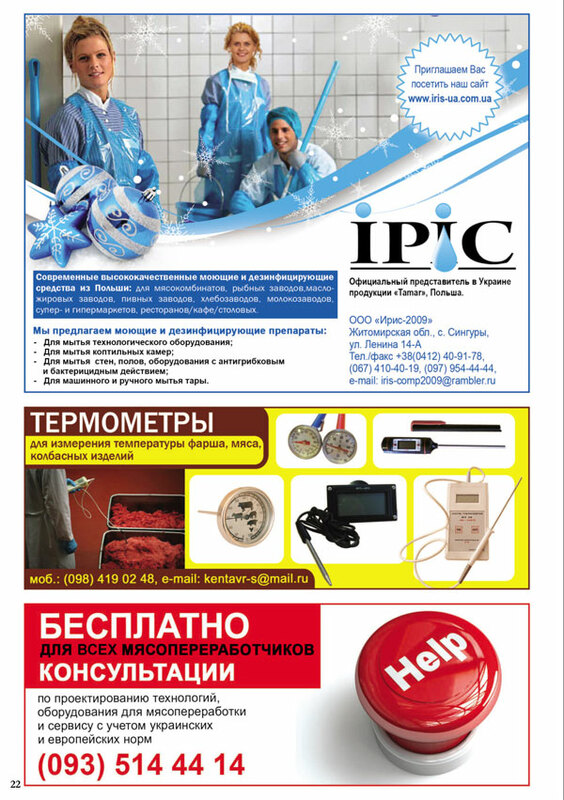 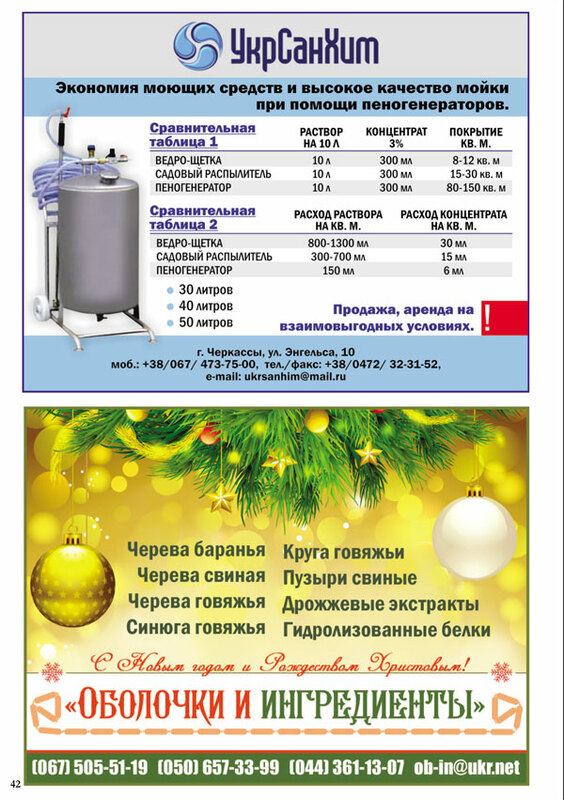 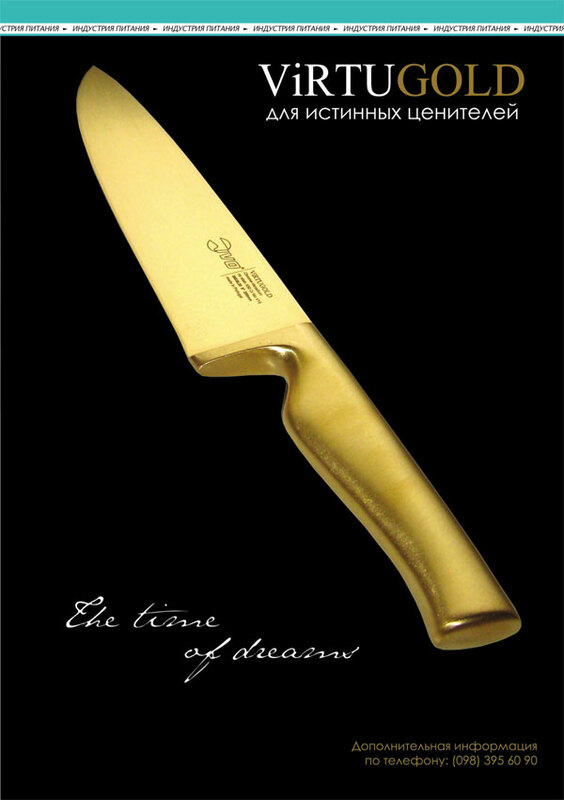 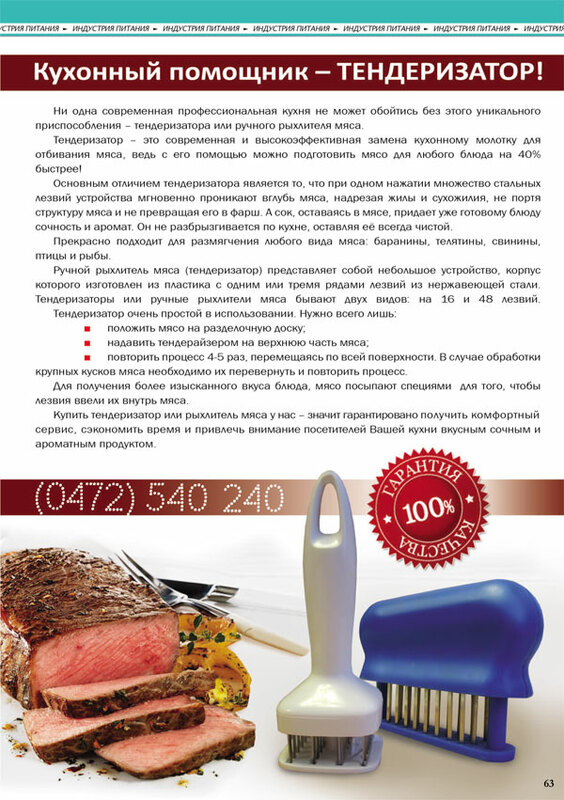 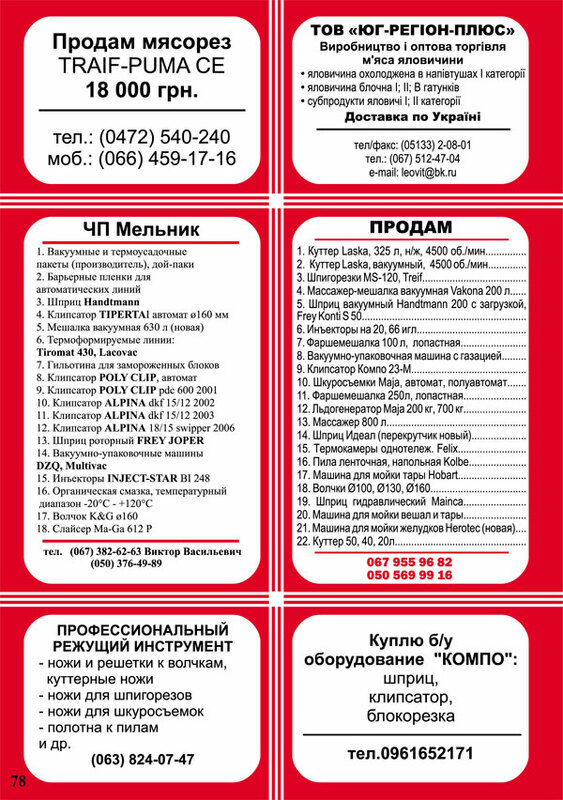 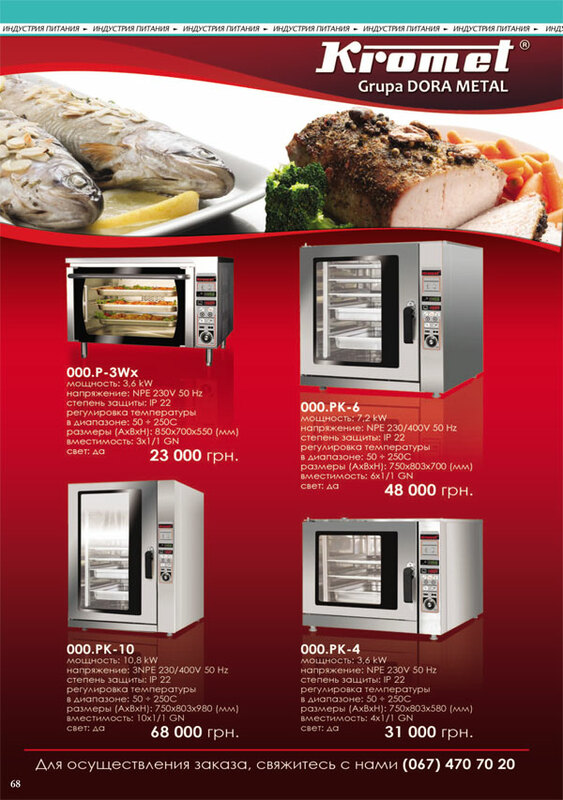 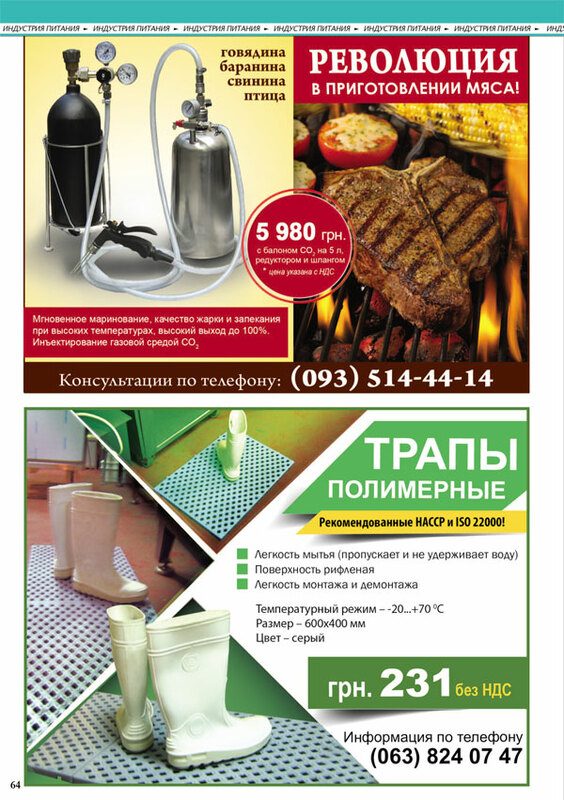 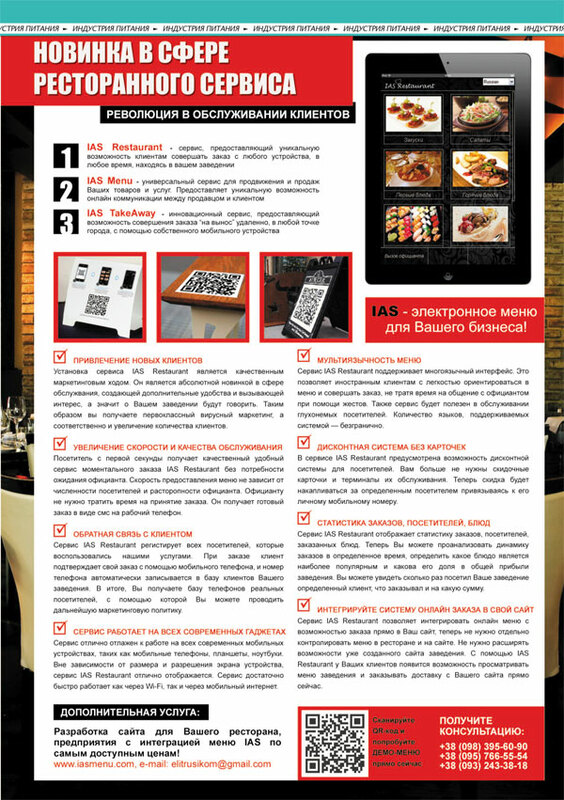 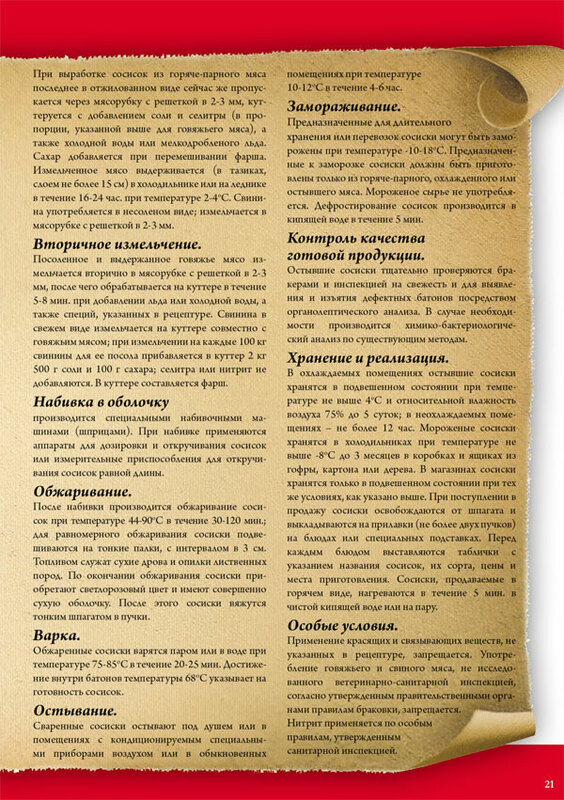 Publication of an advertisement in the «MEAT SERVICE» magazine will help you acquire new partners. 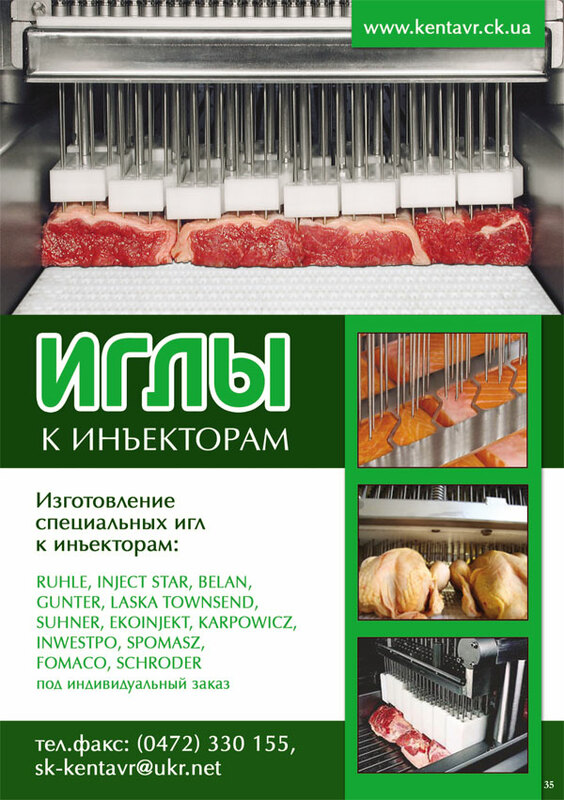 «MEAT SERVICE» magazine is a key link in the chain of relationship between manufacturers and suppliers of equipment, raw products, casing, ingredients, supplies and their customers - meat processing plants, food catering establishments and restaurants. 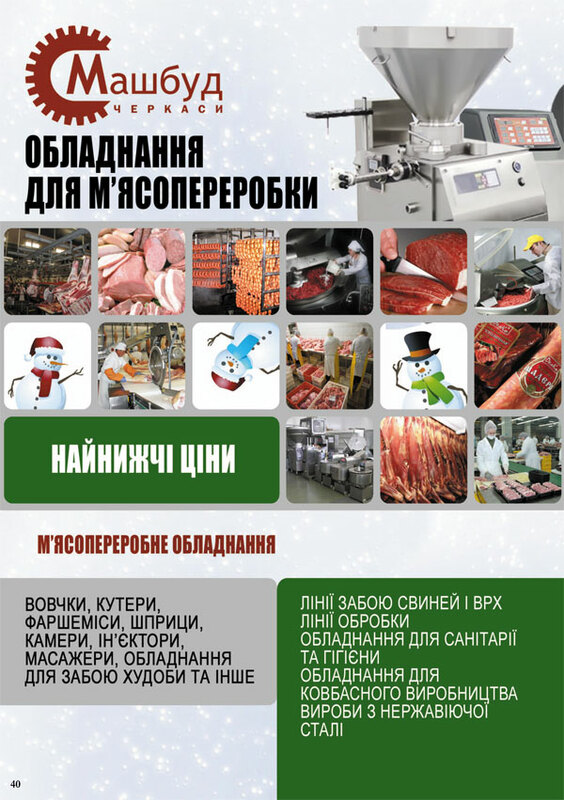 «MEAT SERVICE» will help every manager and chief specialist establish new business contacts, answer many timely questions and inform about innovations in the field of meat processing. 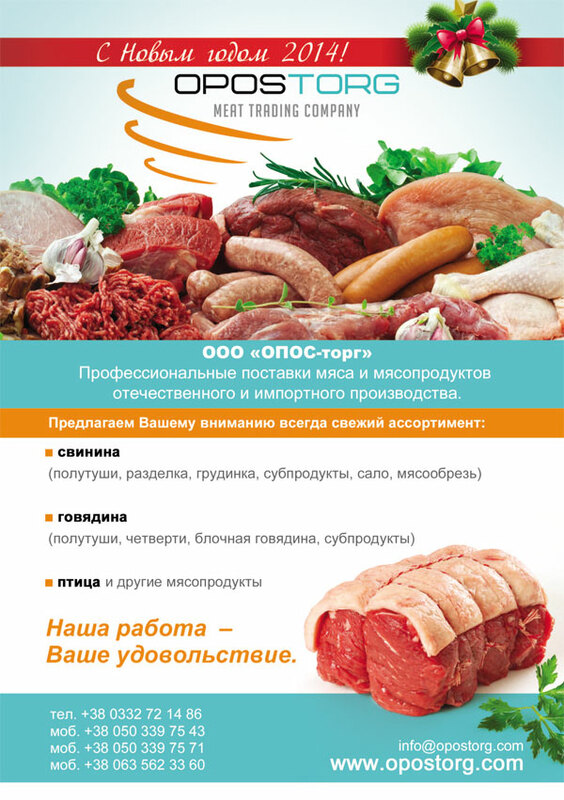 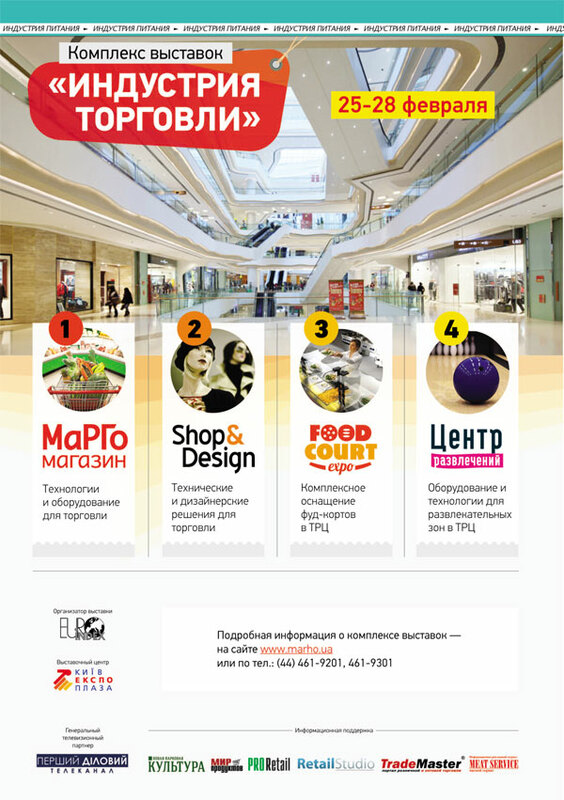 «MEAT SERVICE» is the only publication in Ukraine which primarily aims at delivering information via cost free target audience distribution of the magazine. 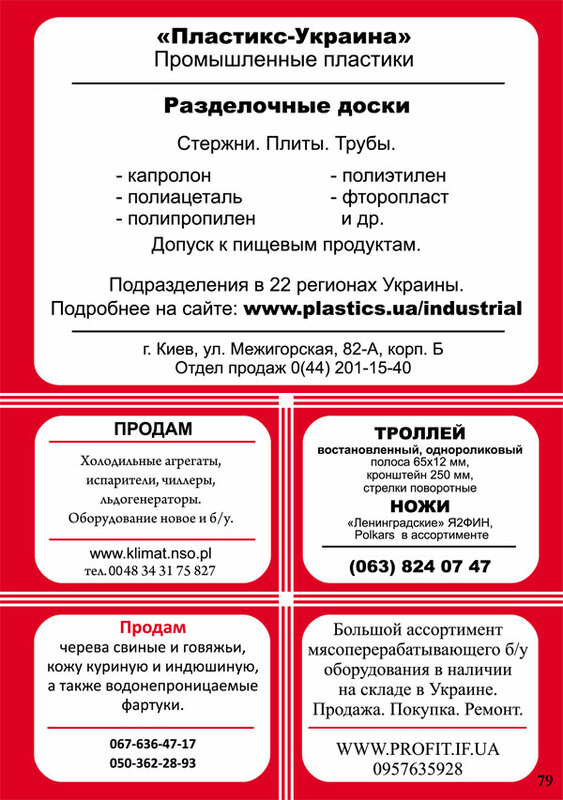 Delivery to specialized exhibitions will allow you to inform all possible partners in Ukraine and abroad about your business. 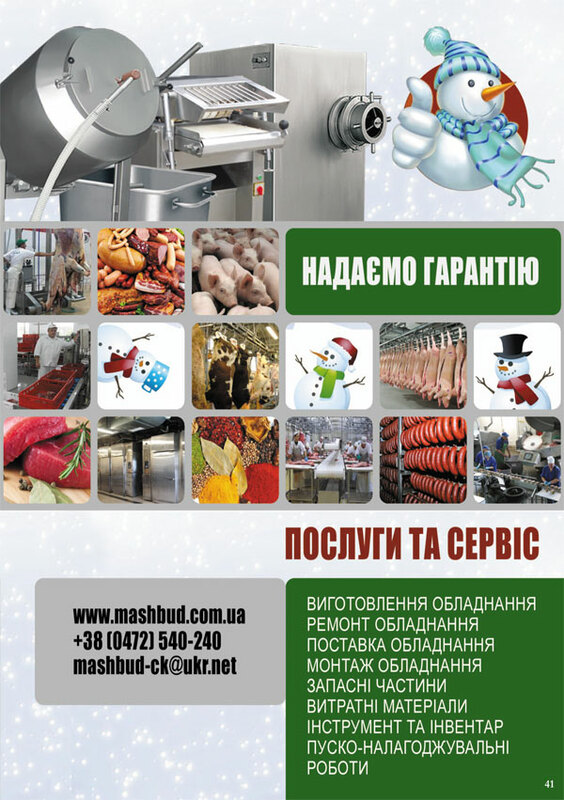 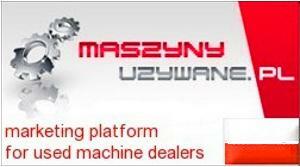 We welcome you to collaborate with us and wish you success in business.